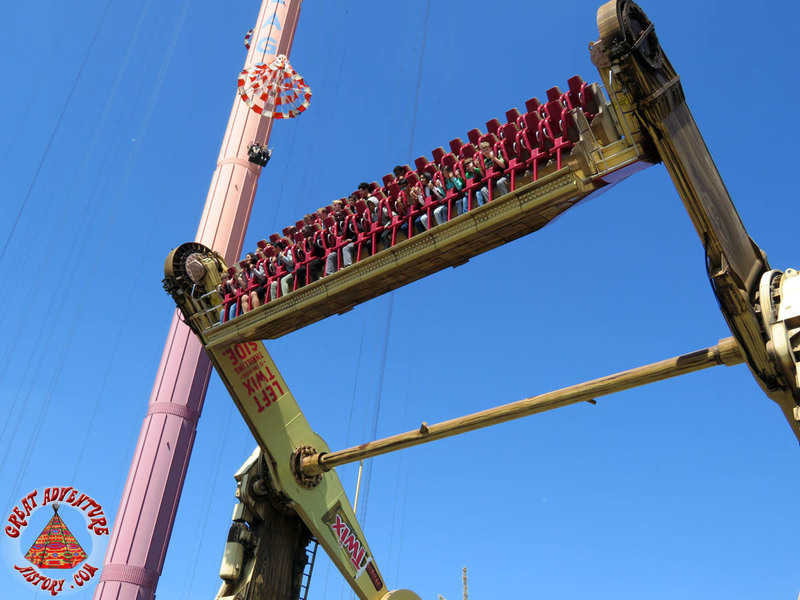 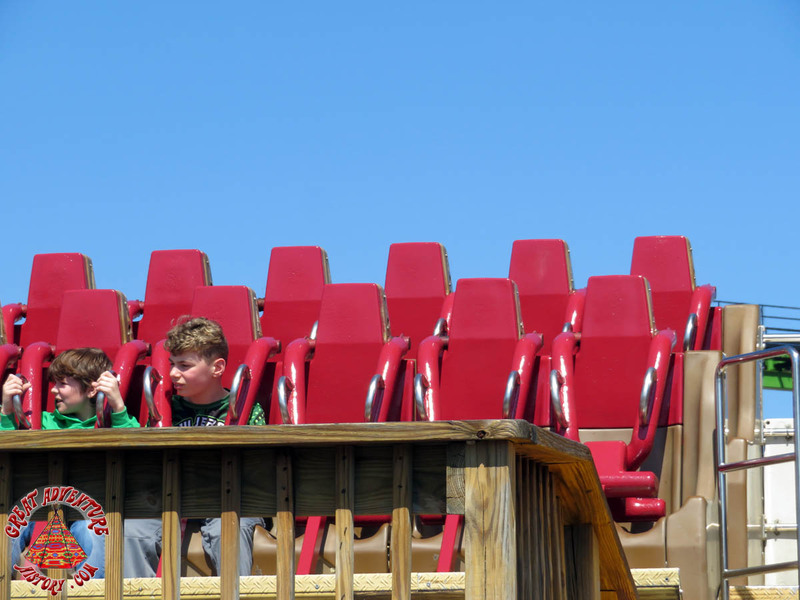 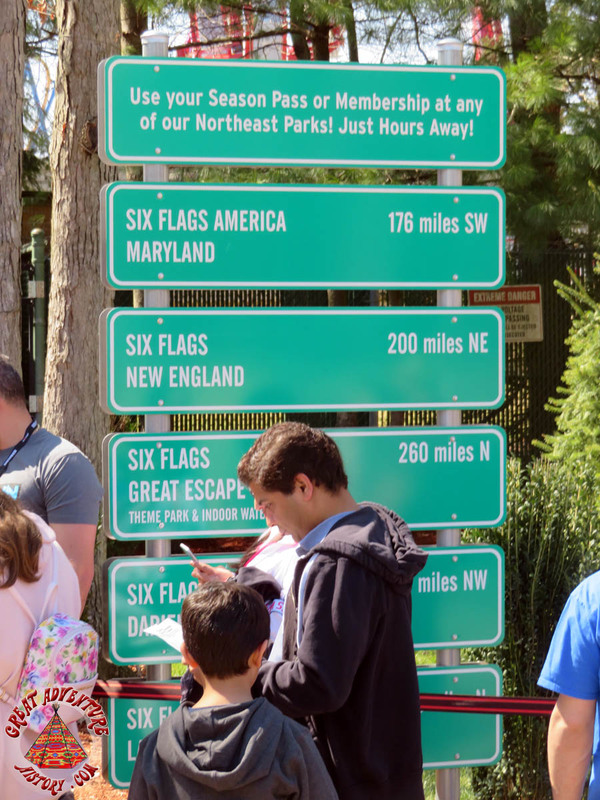 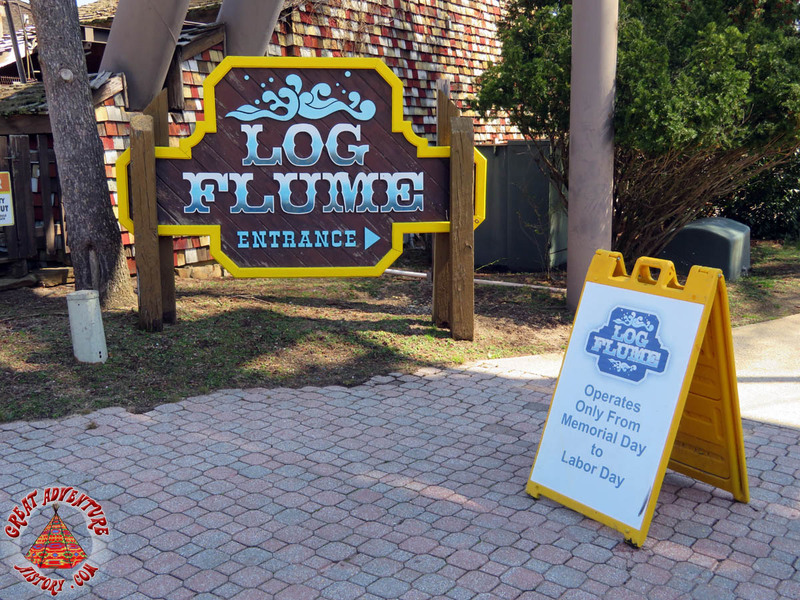 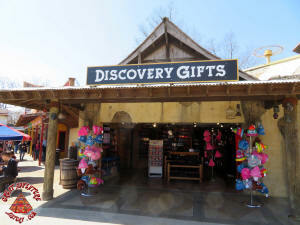 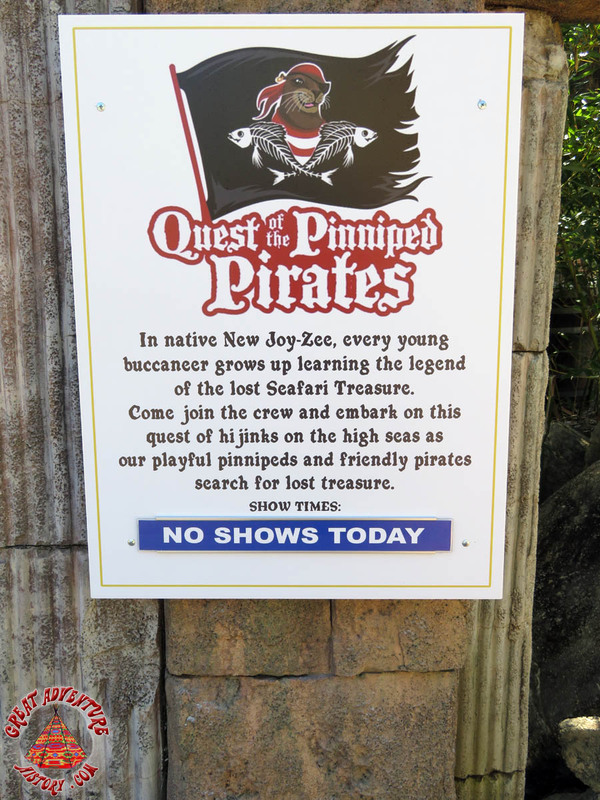 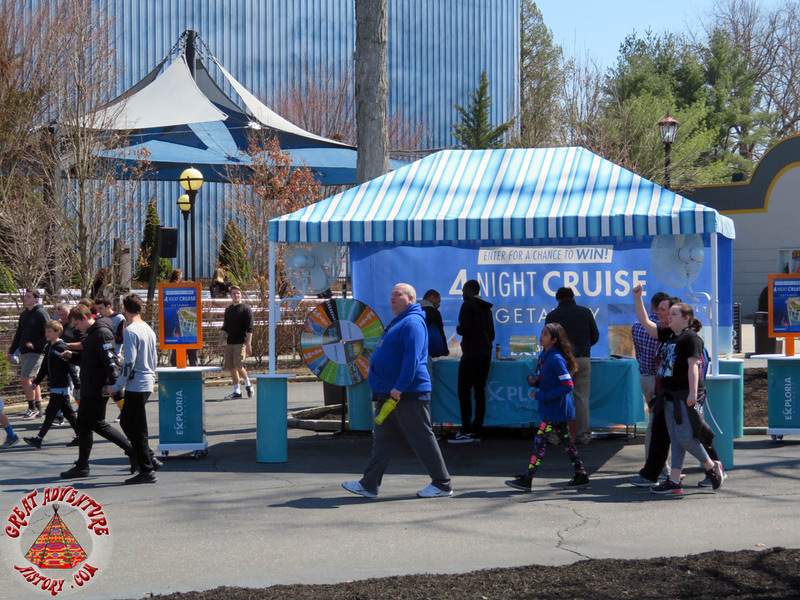 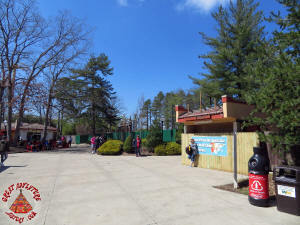 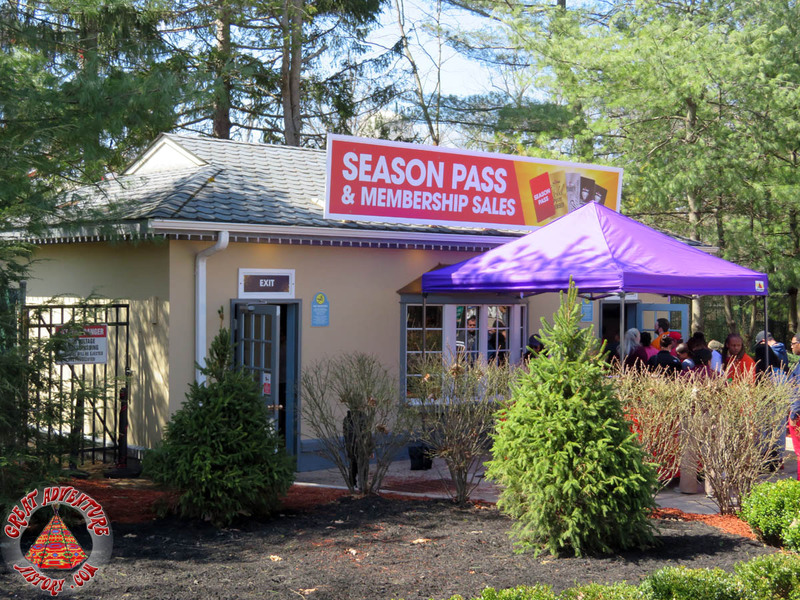 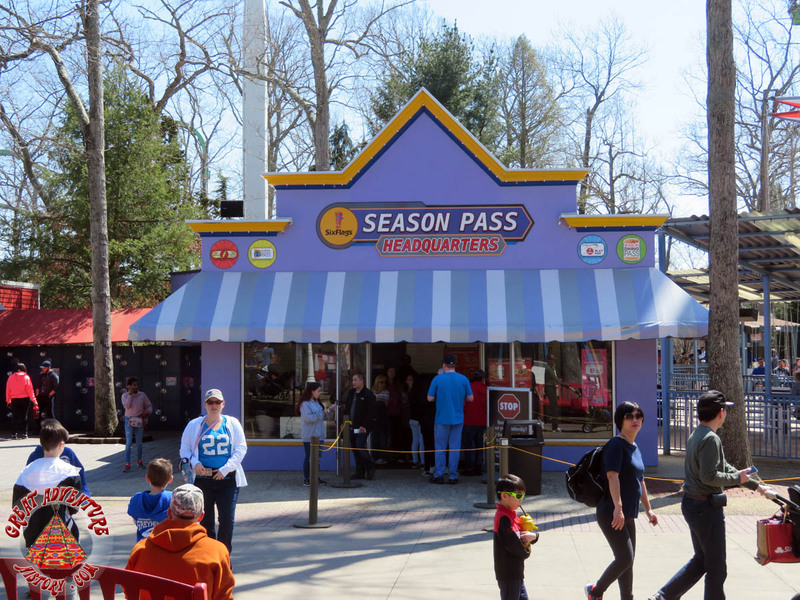 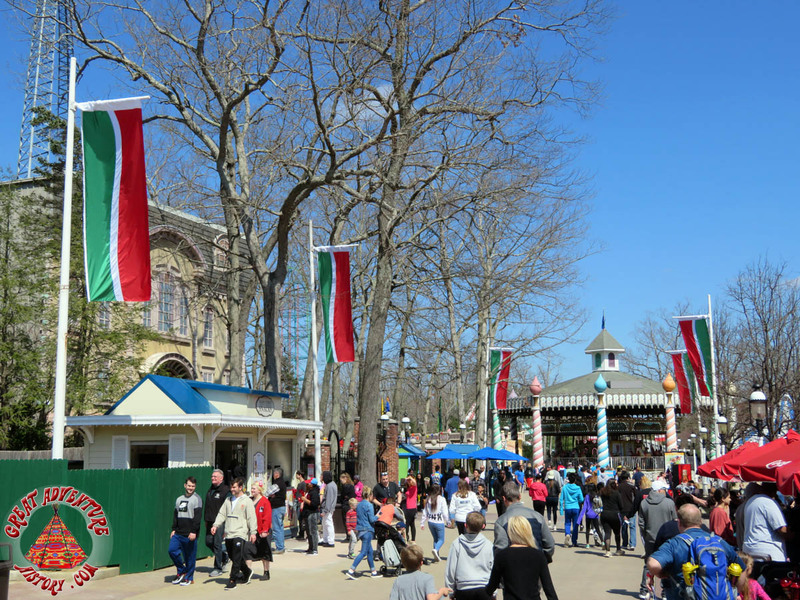 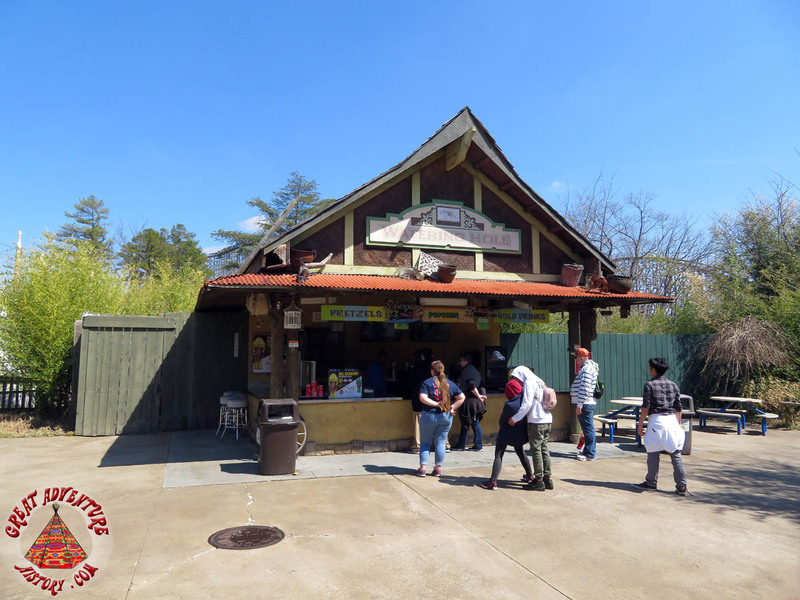 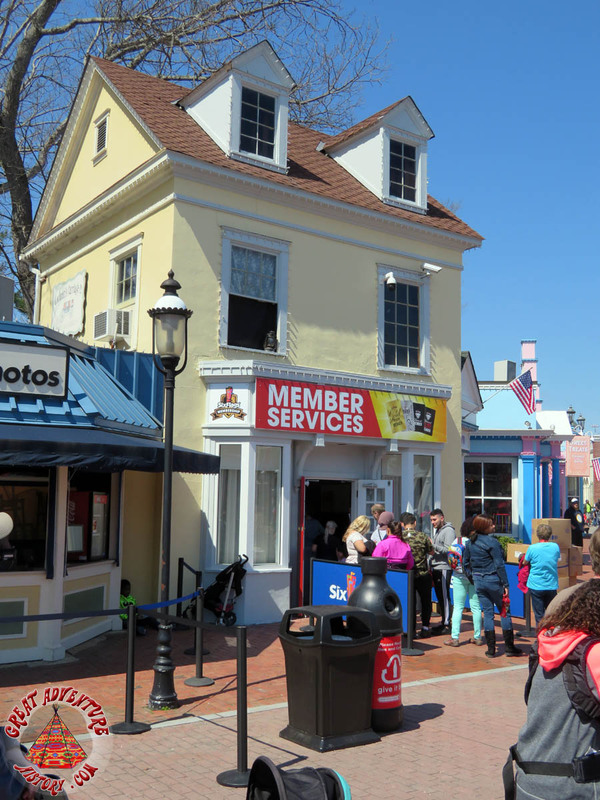 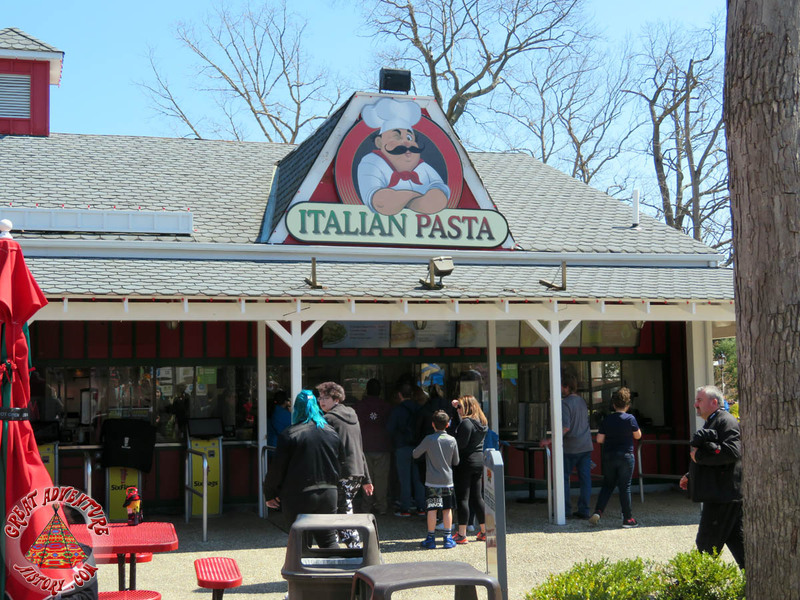 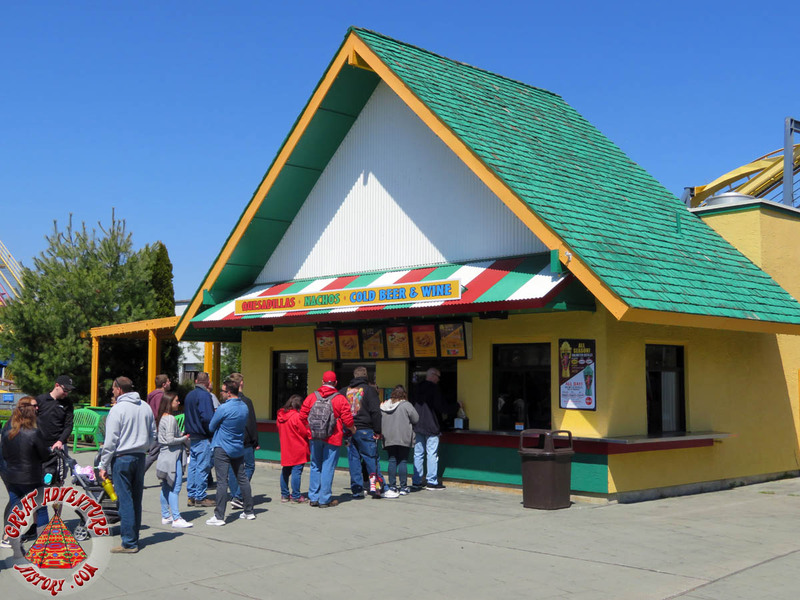 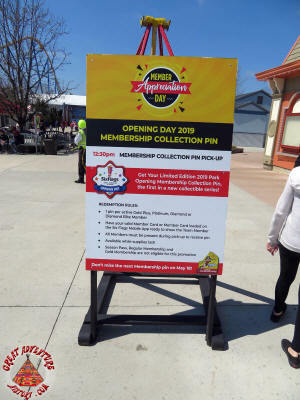 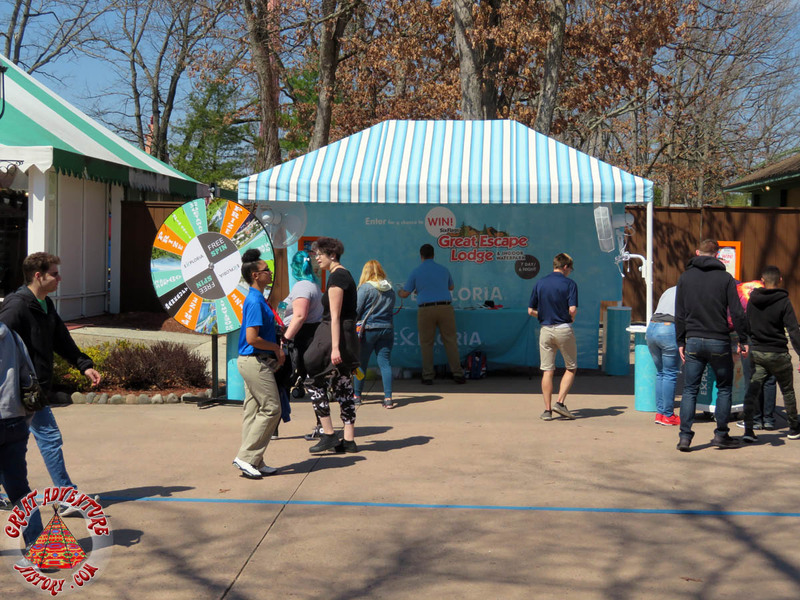 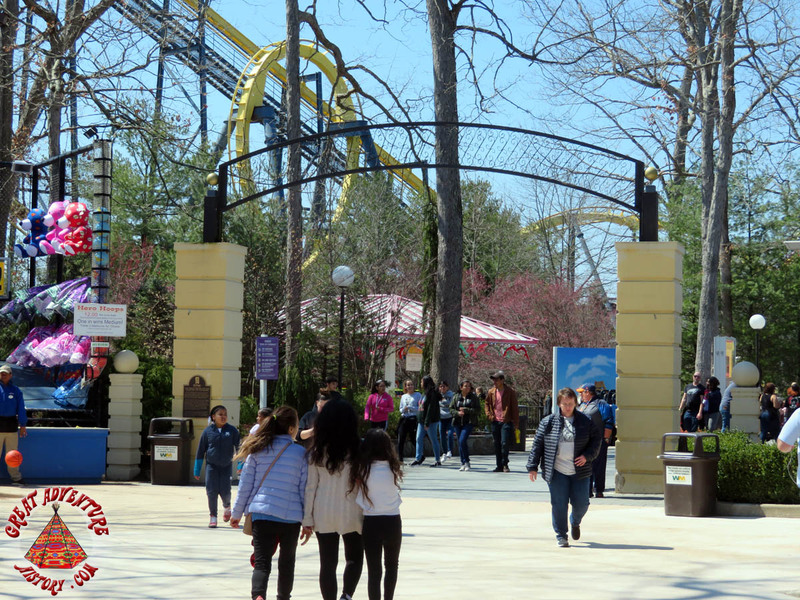 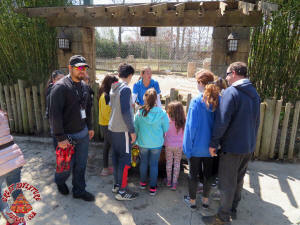 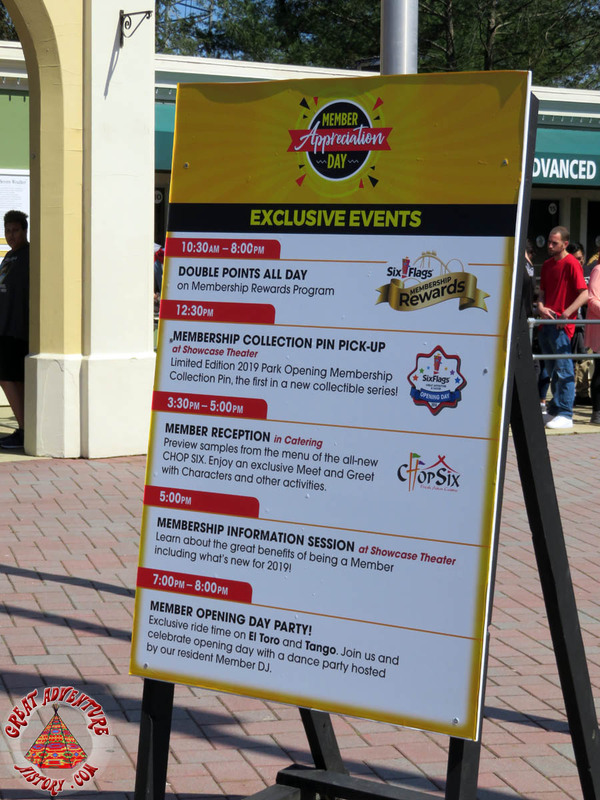 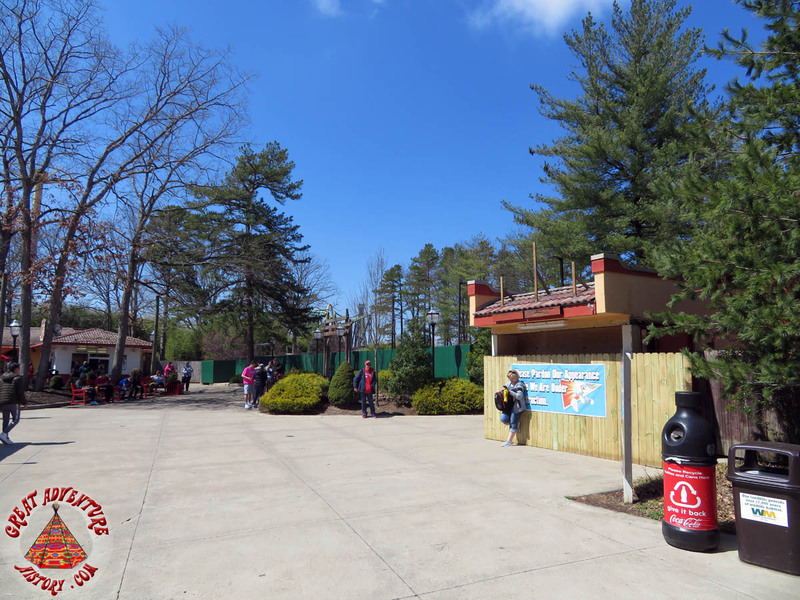 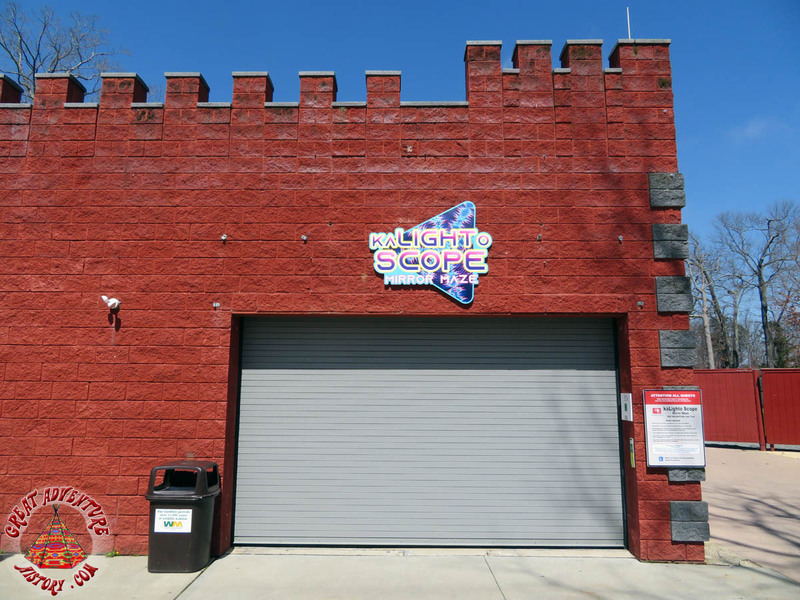 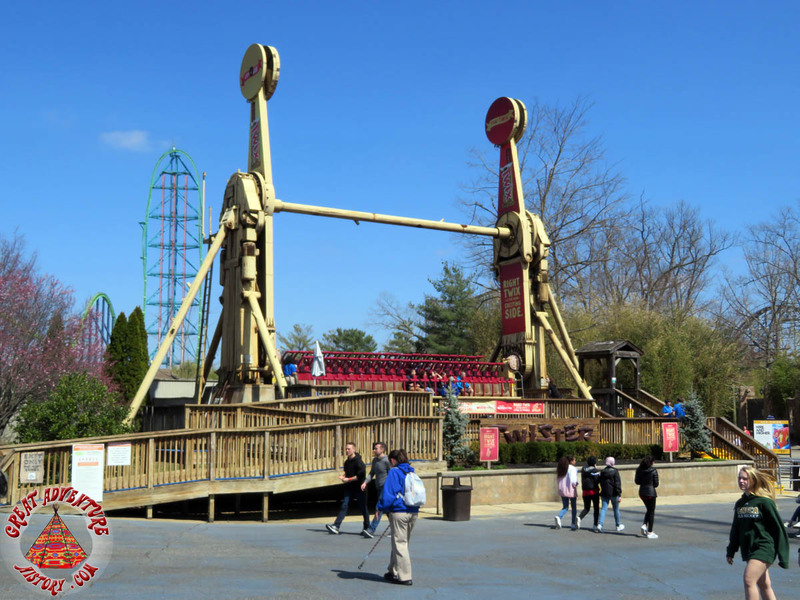 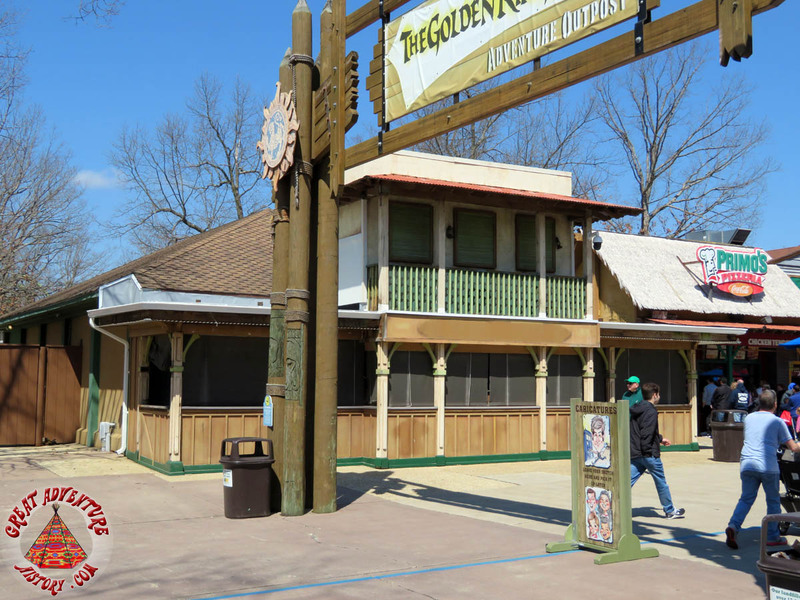 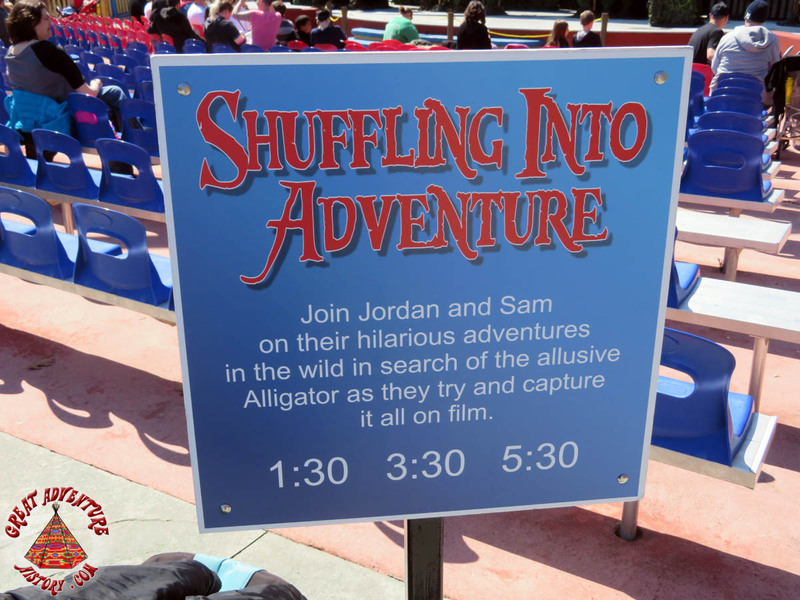 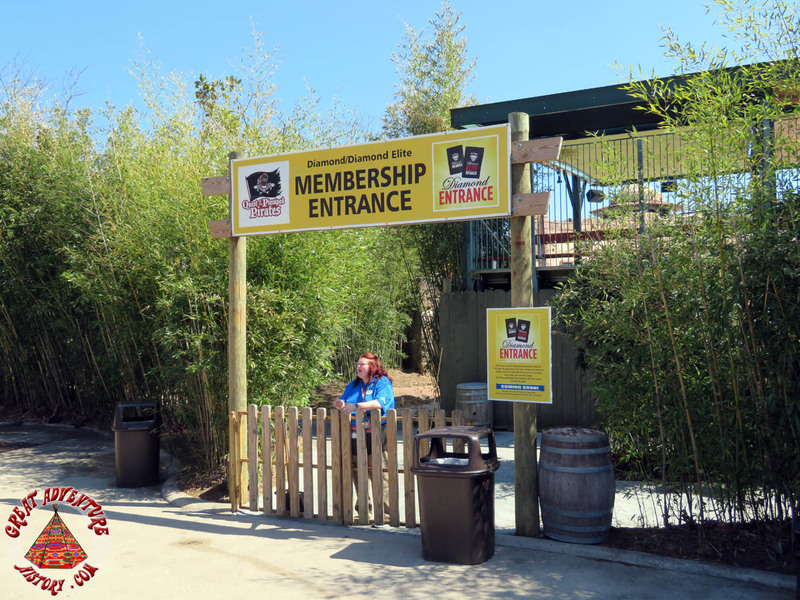 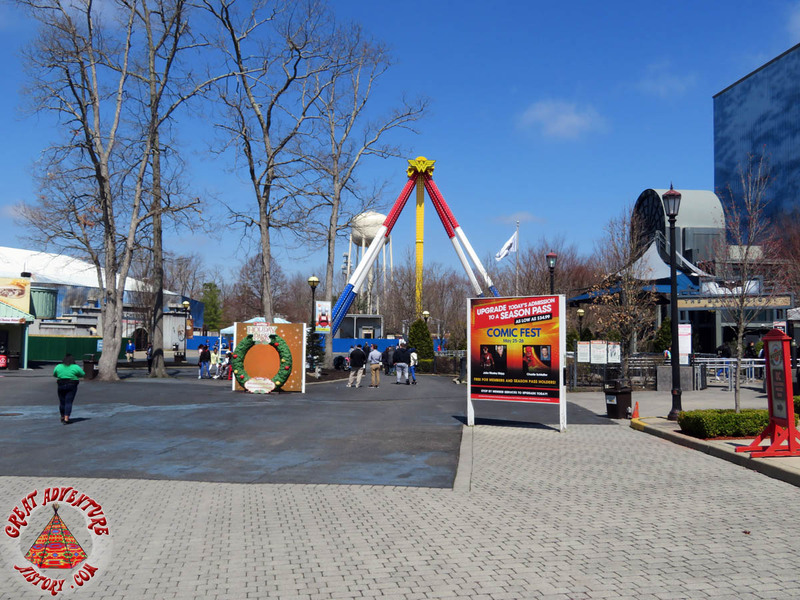 The 2019 season is here and Great Adventure opened up its gates for its 46th time! 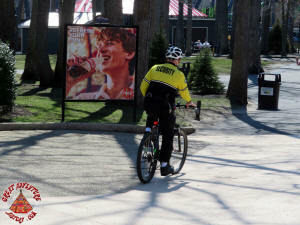 Beautiful weather and people looking to shake off the winter doldrums brought a pretty impressive crowd to the park. 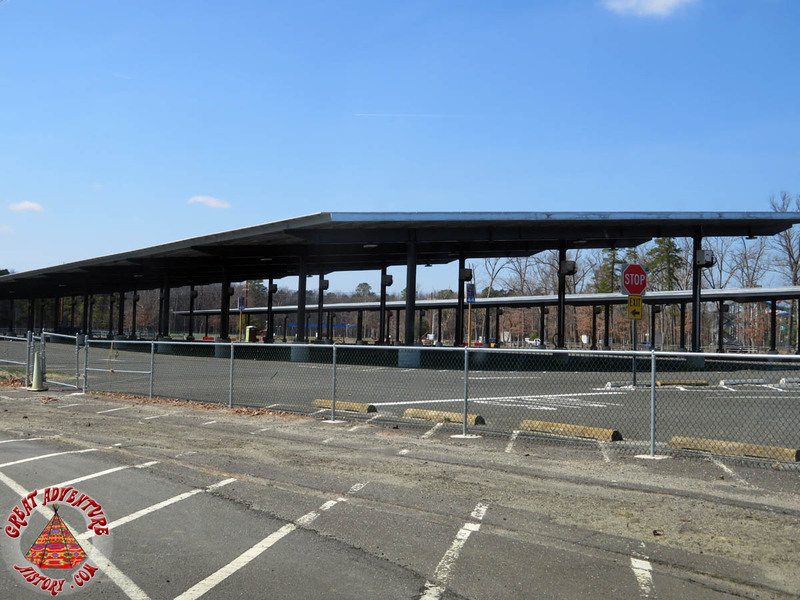 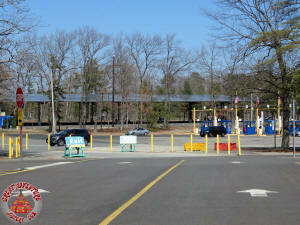 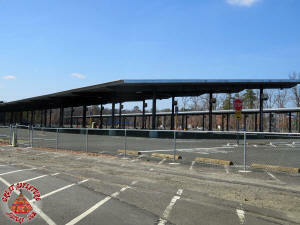 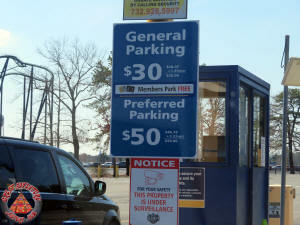 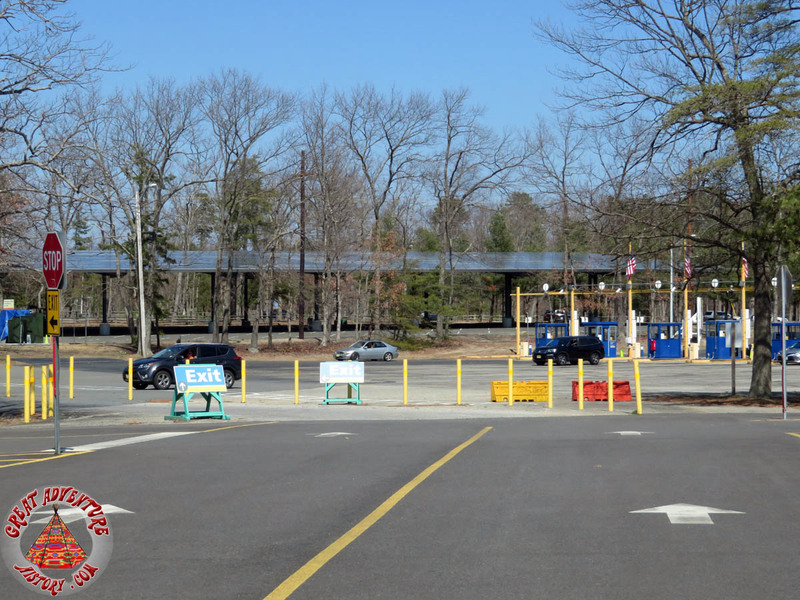 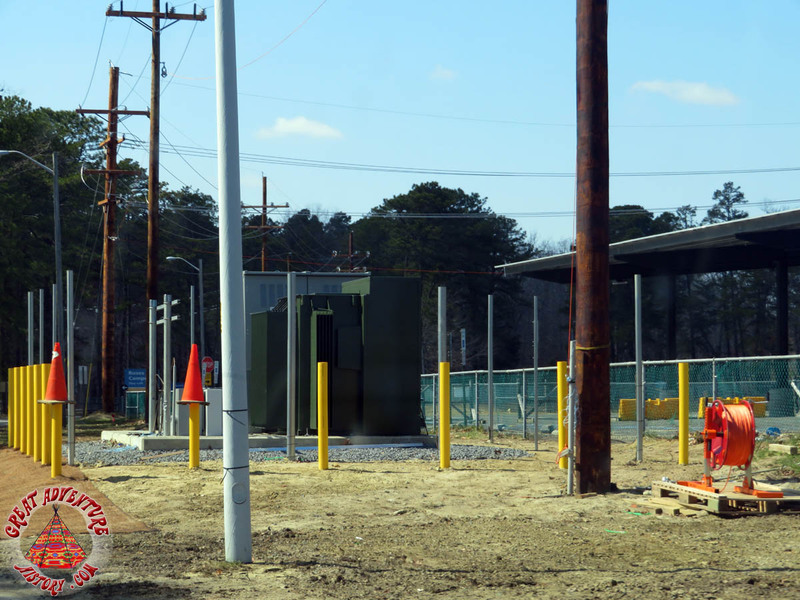 The first think to notice driving in was the addition of the new solar panels both covering both Hurricane Harbors parking lot and the overflow lots between the main lot and the entrance roadway. 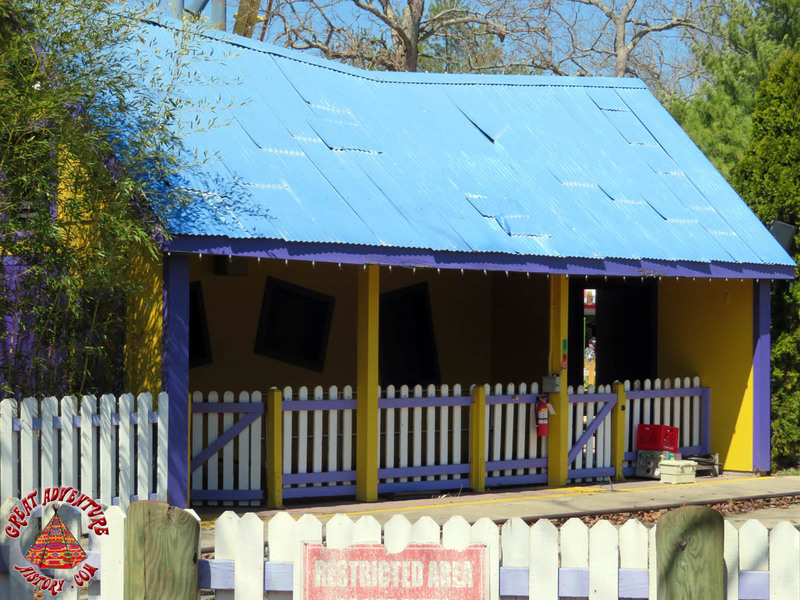 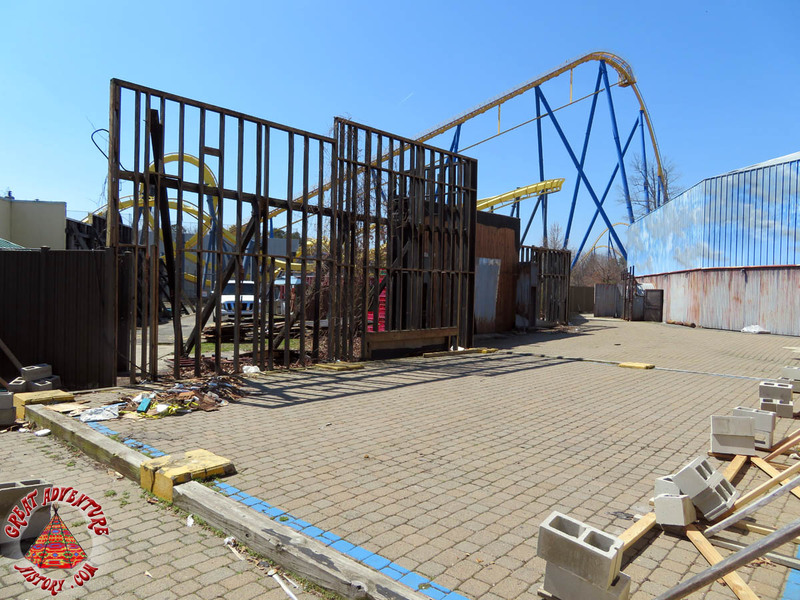 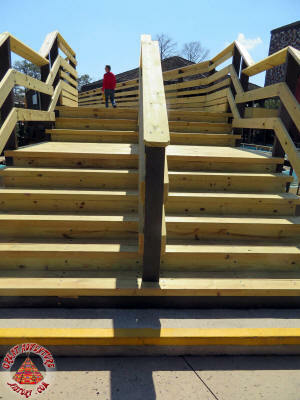 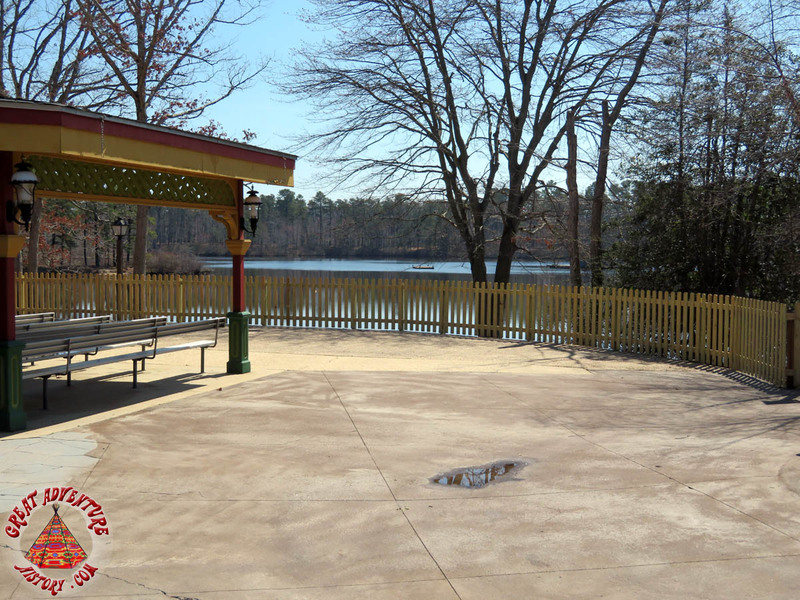 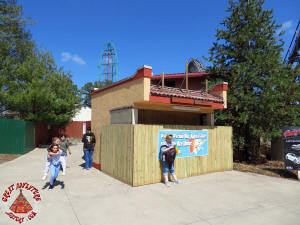 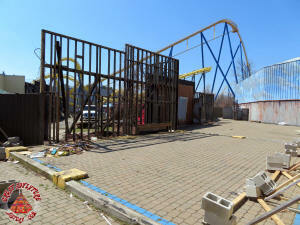 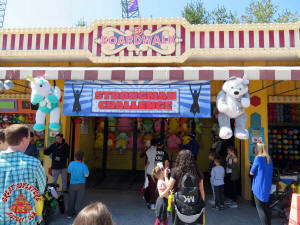 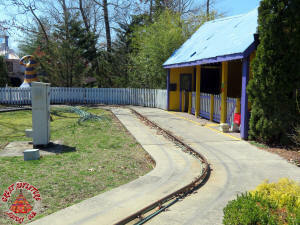 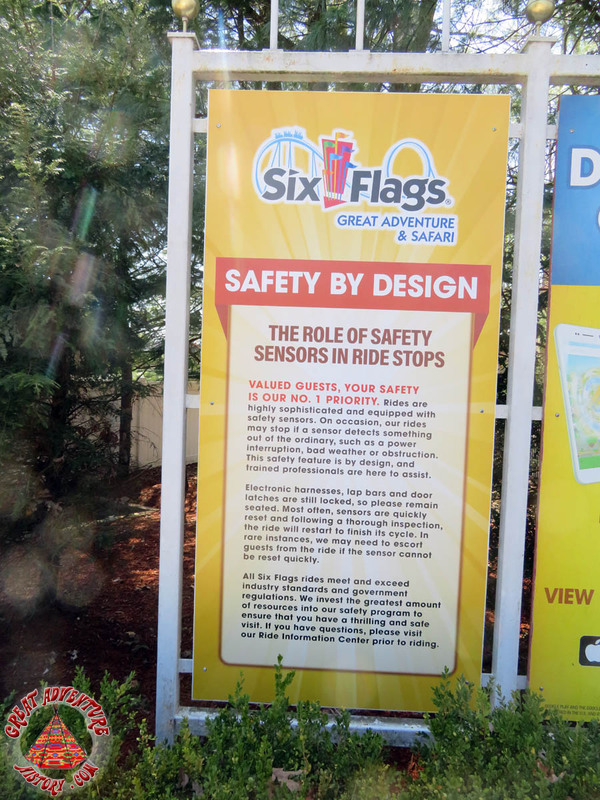 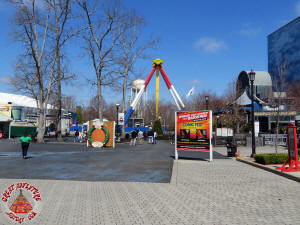 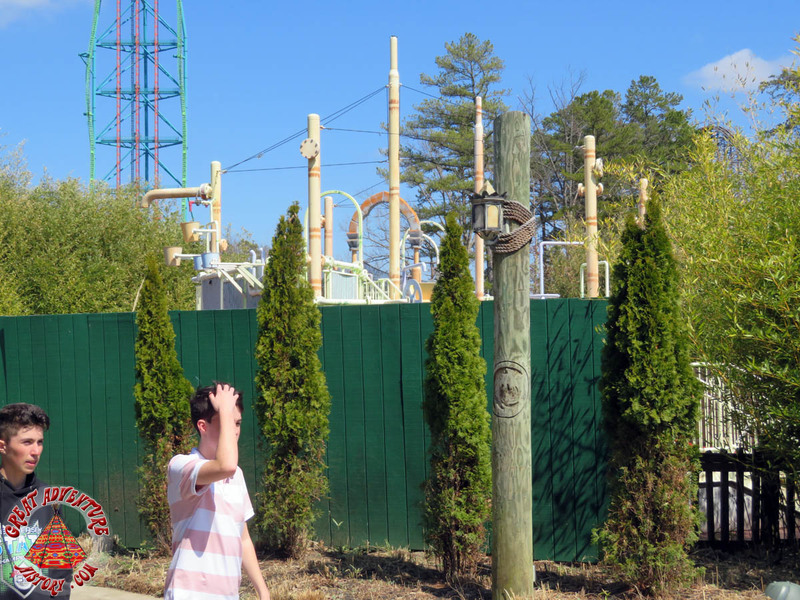 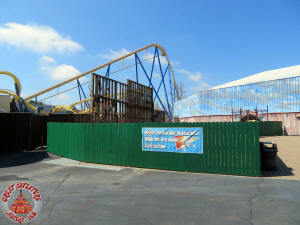 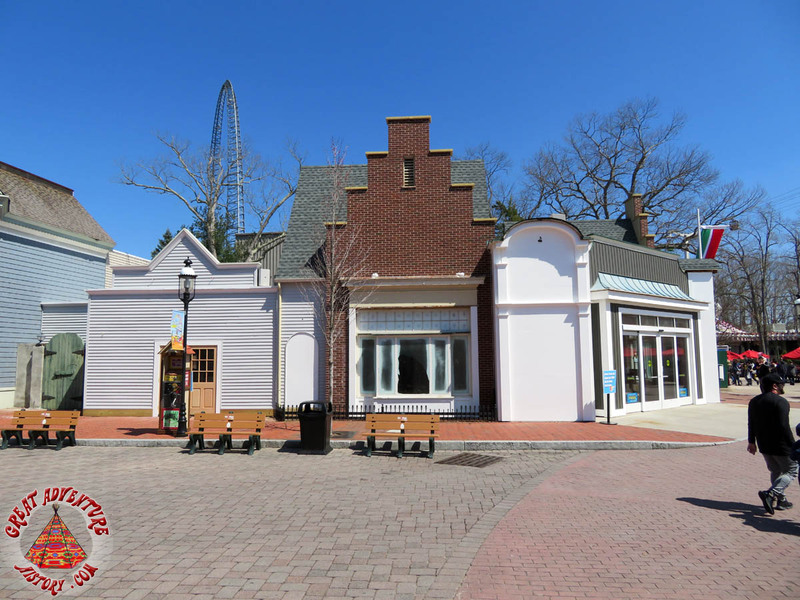 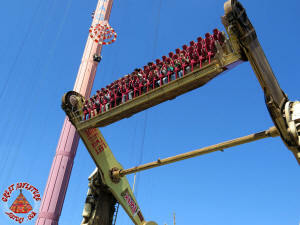 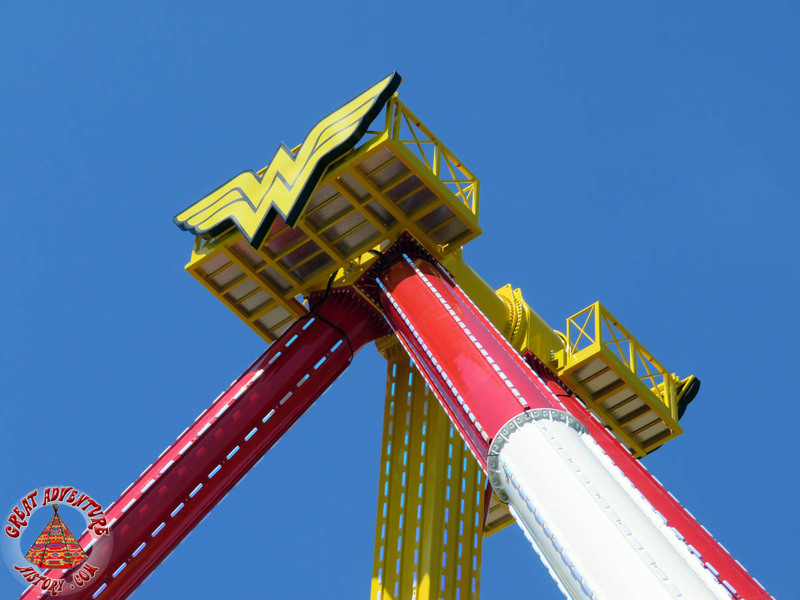 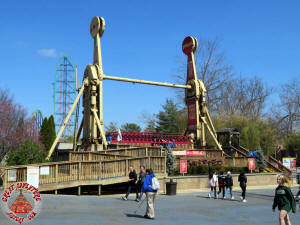 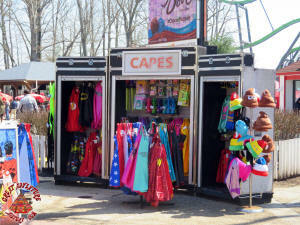 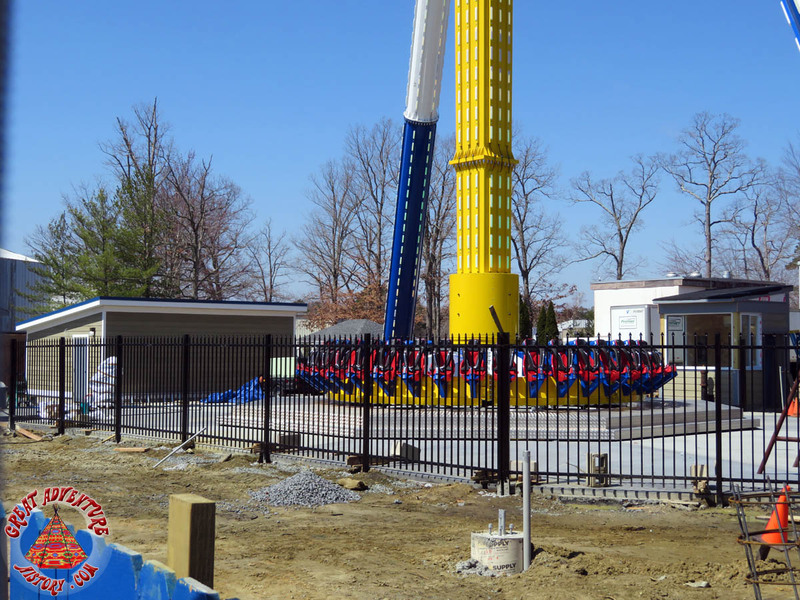 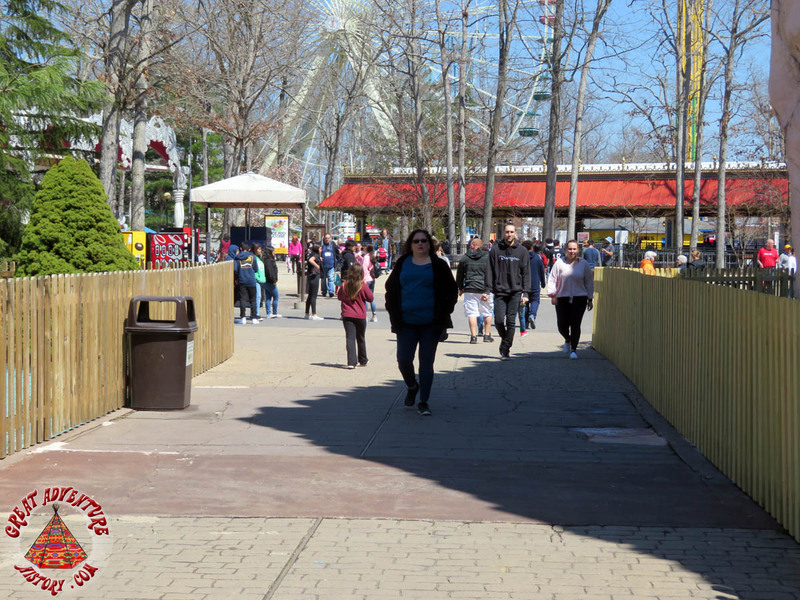 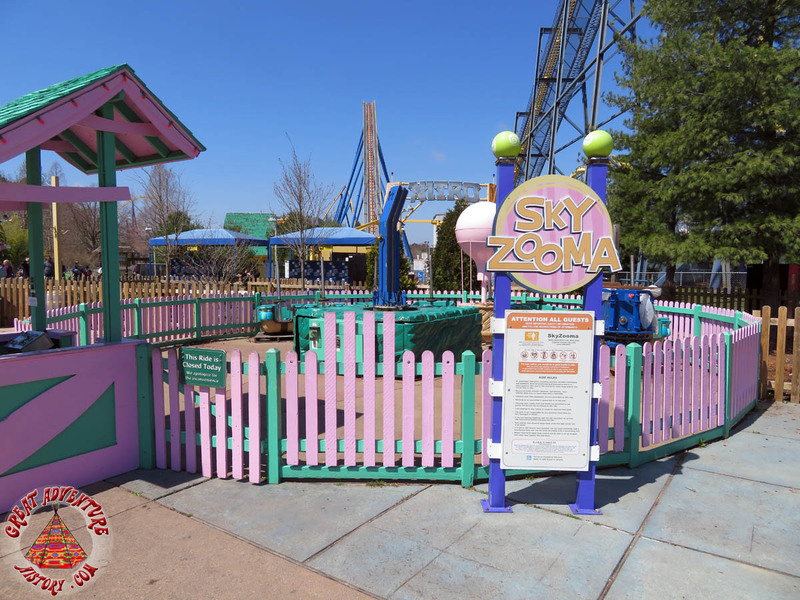 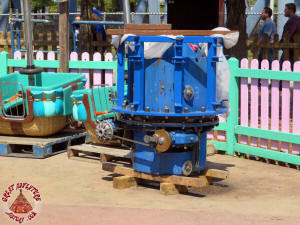 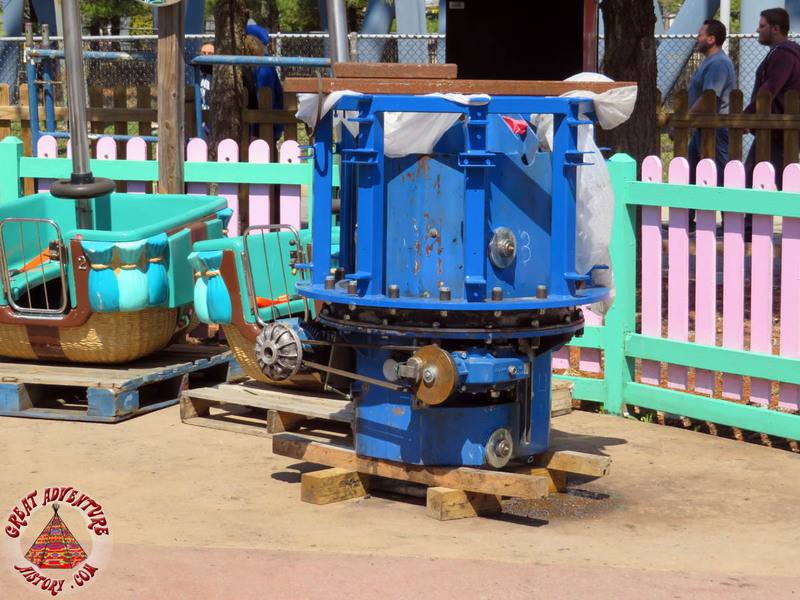 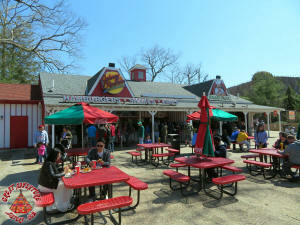 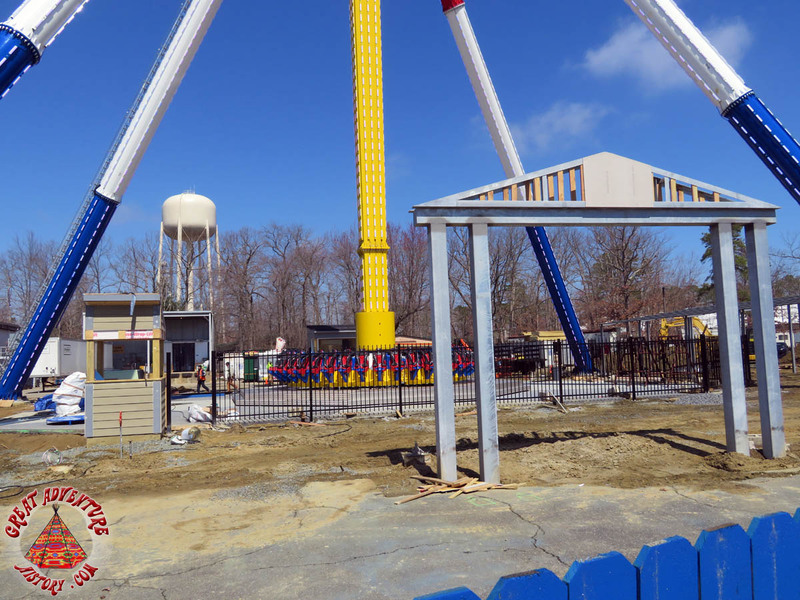 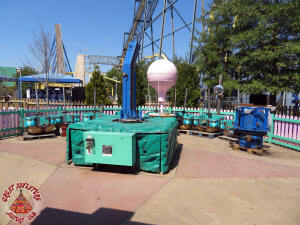 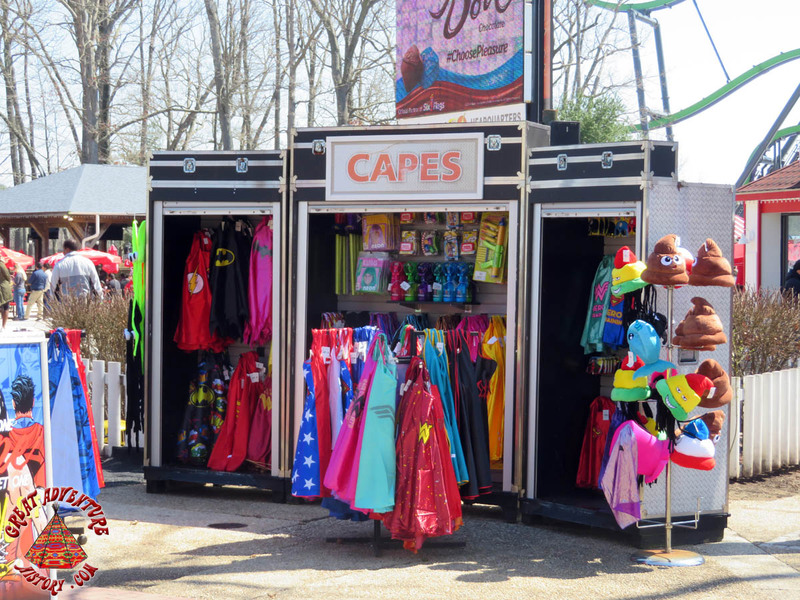 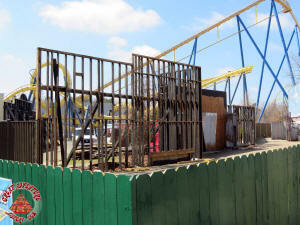 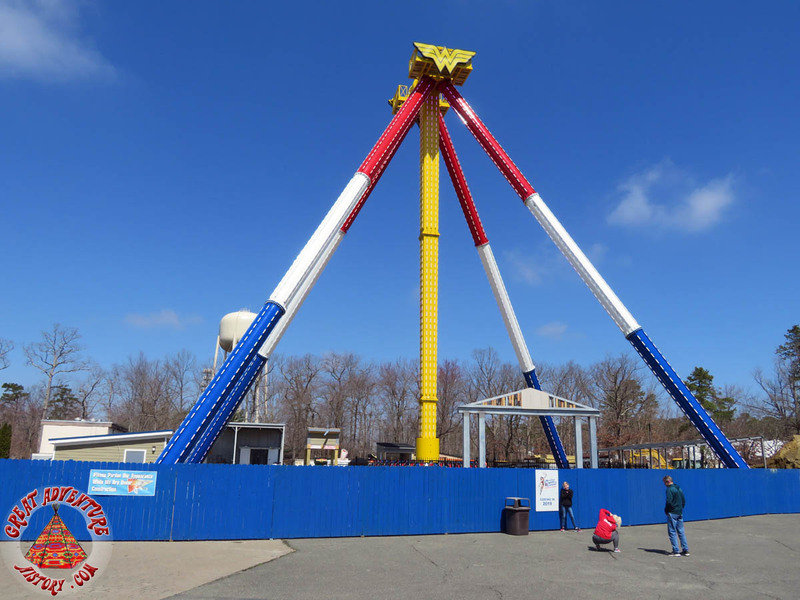 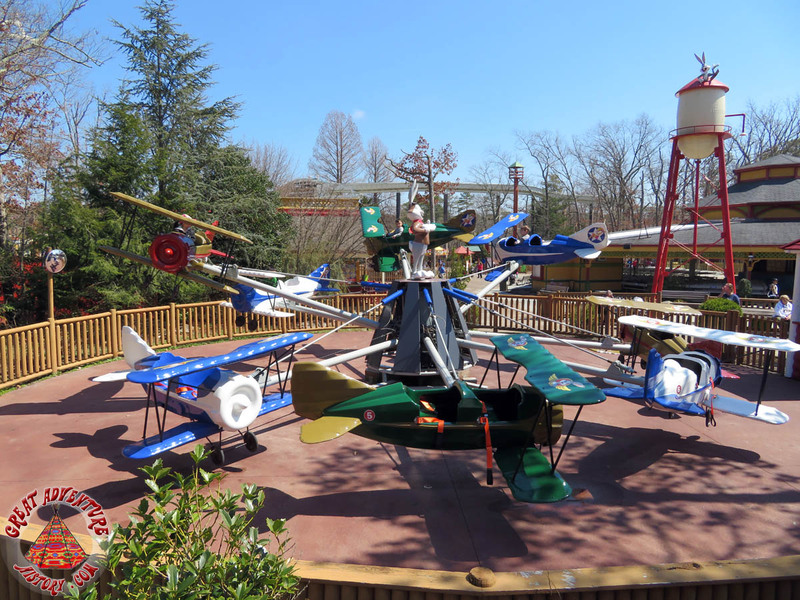 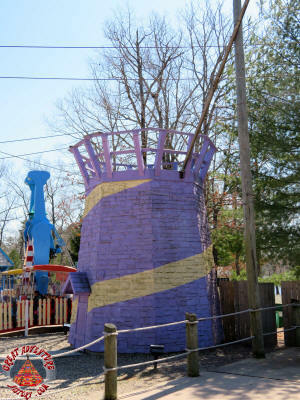 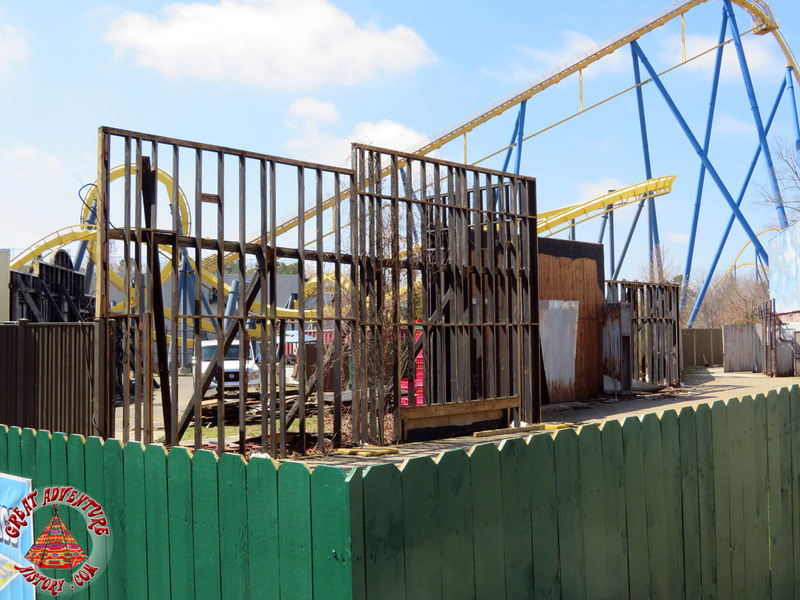 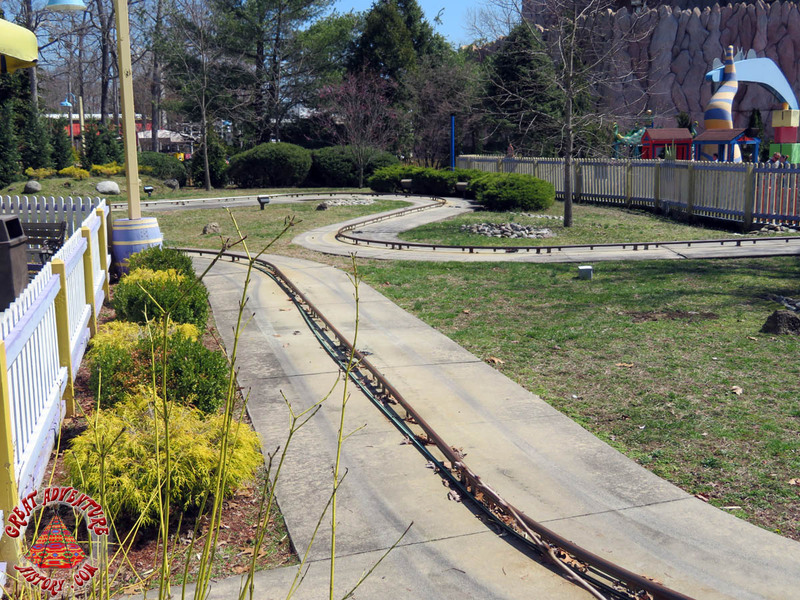 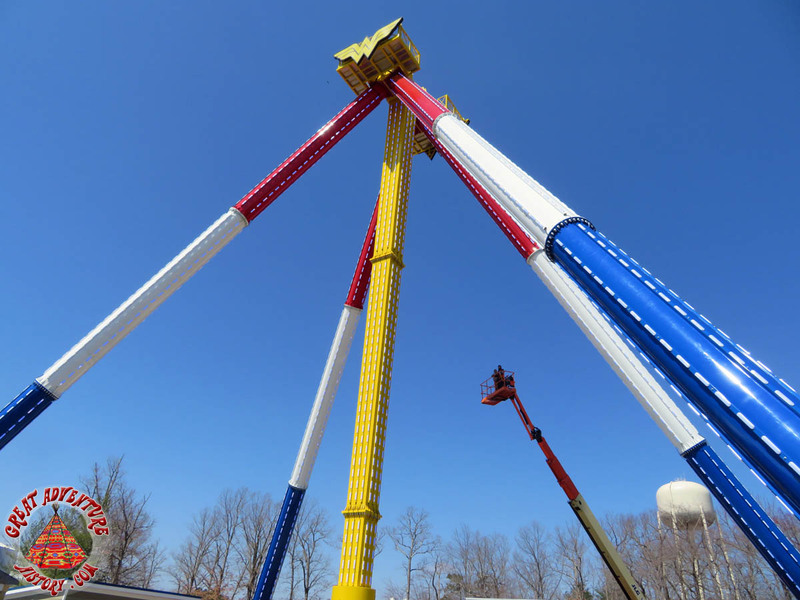 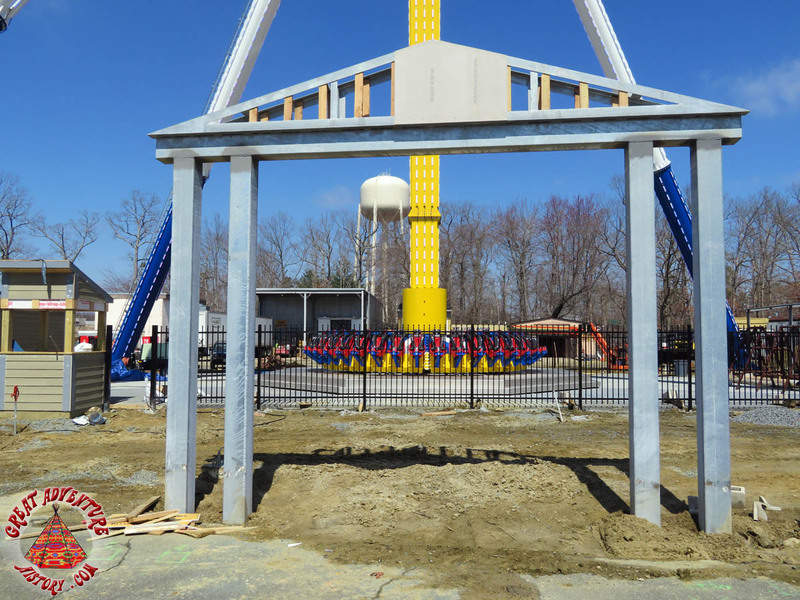 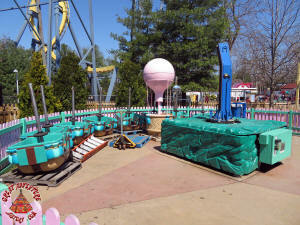 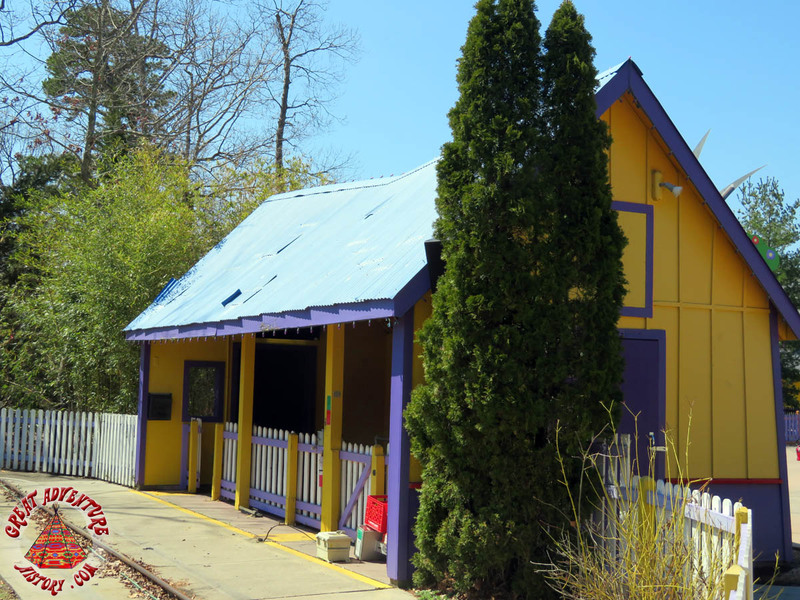 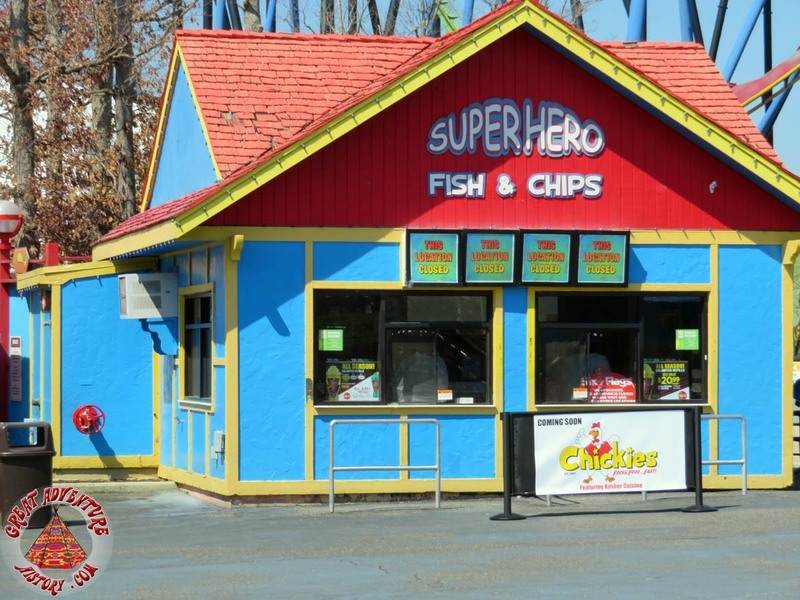 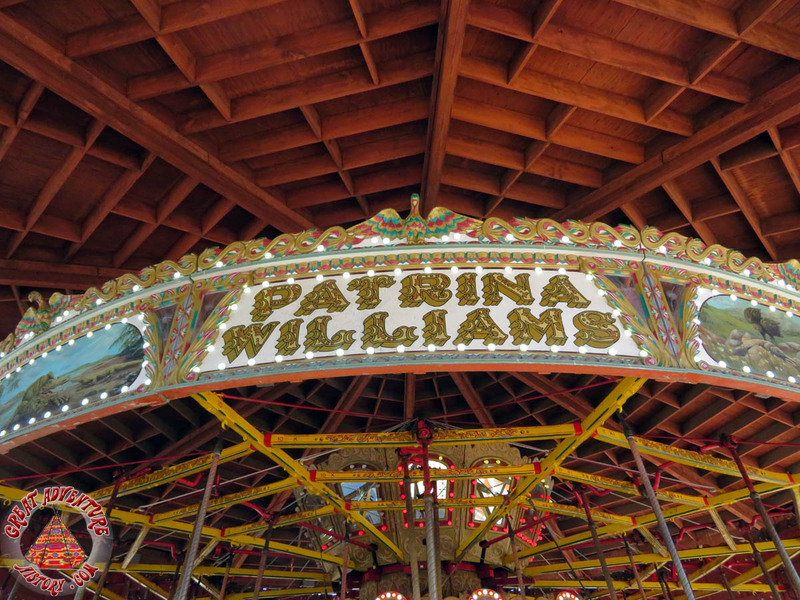 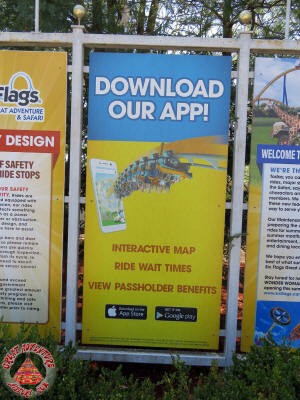 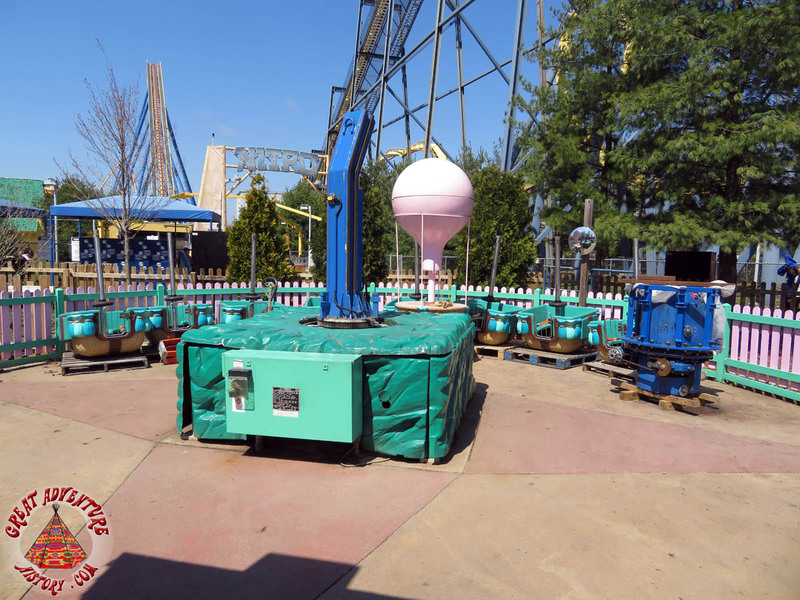 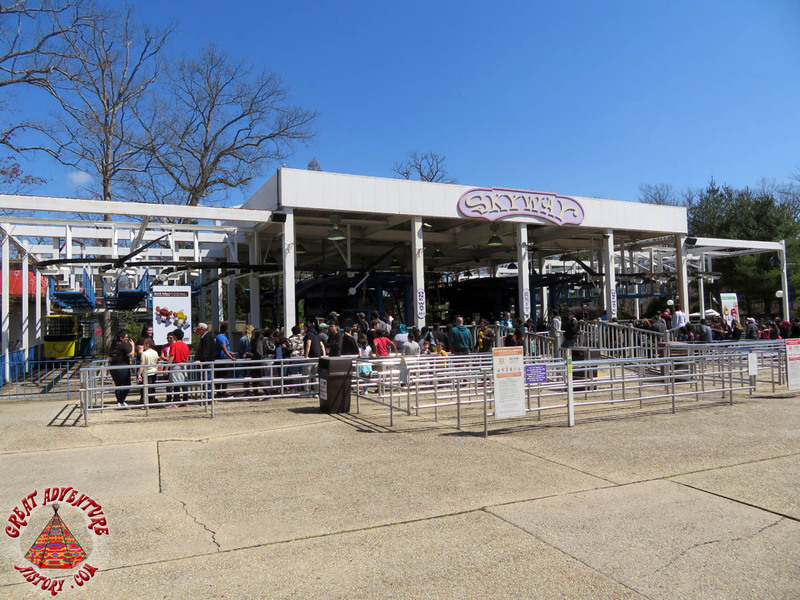 Inside the park, fresh paint and numerous refurbishment projects greeted park patrons, the largest of which was the on-going installation of the Wonder Woman Lasso of Truth ride. 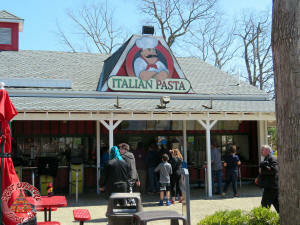 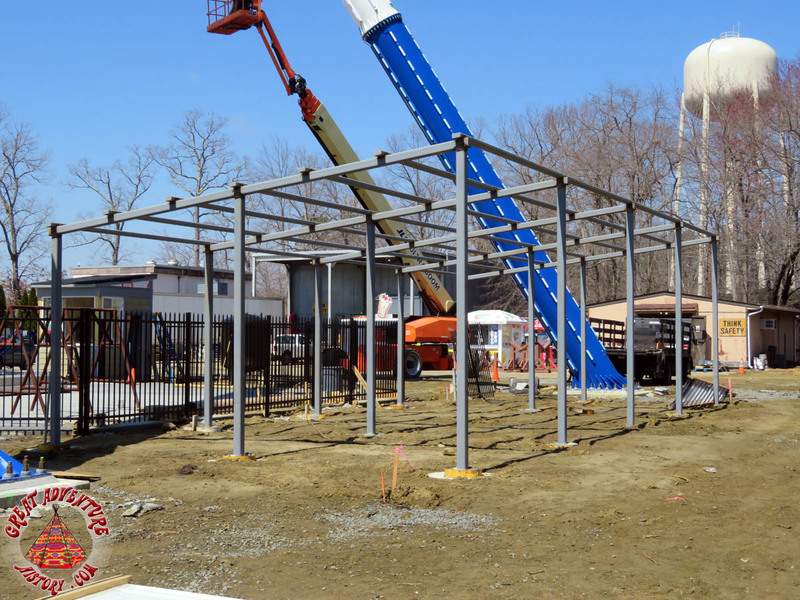 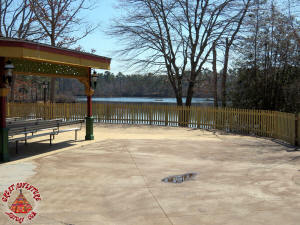 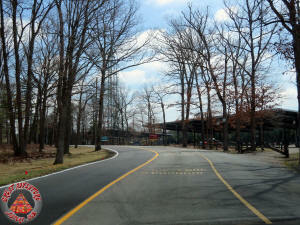 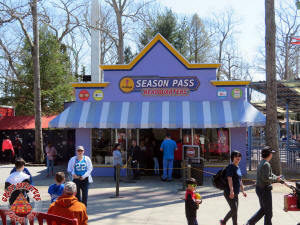 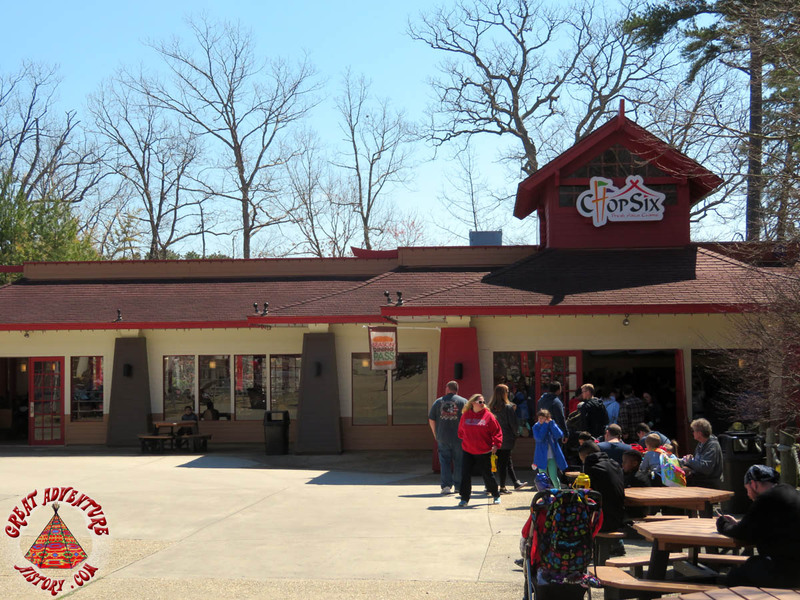 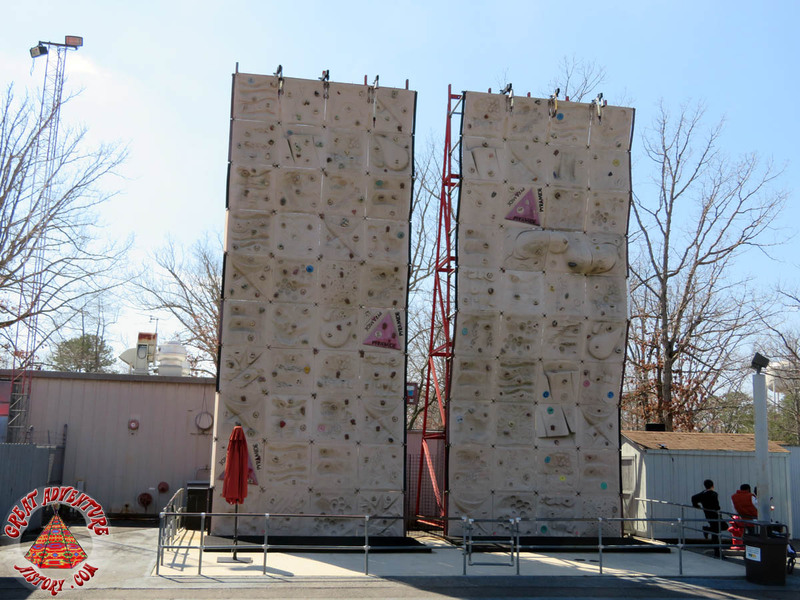 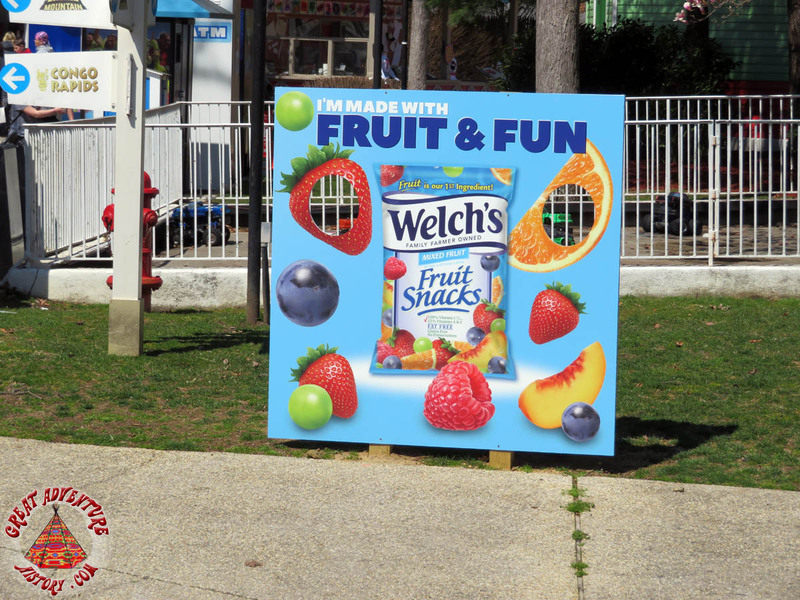 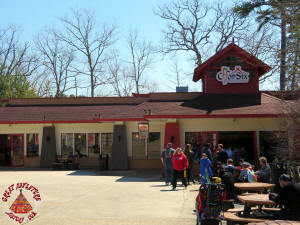 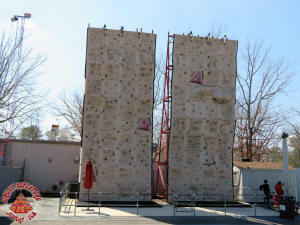 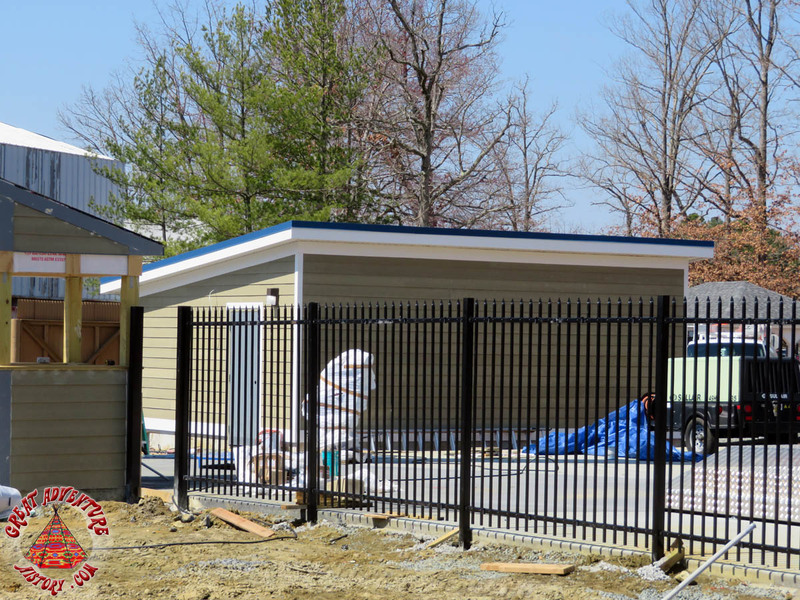 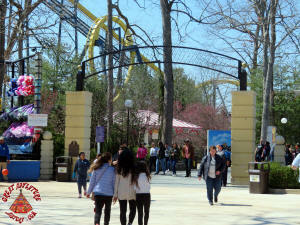 Things are looking great for another fun season at the park! 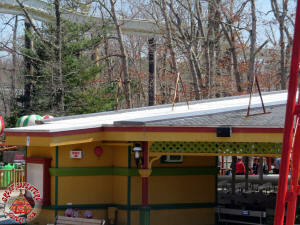 You can't miss the new solar panels over the Hurricane Harbor and overflow lots. 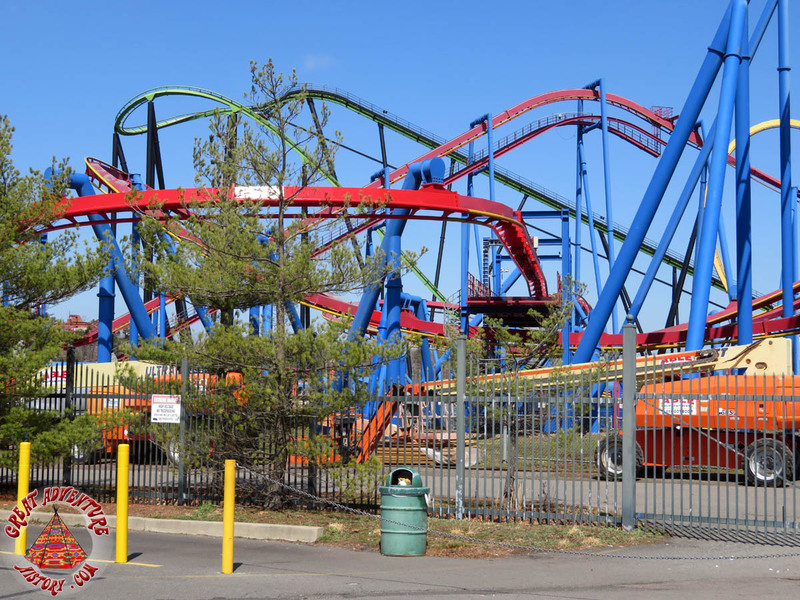 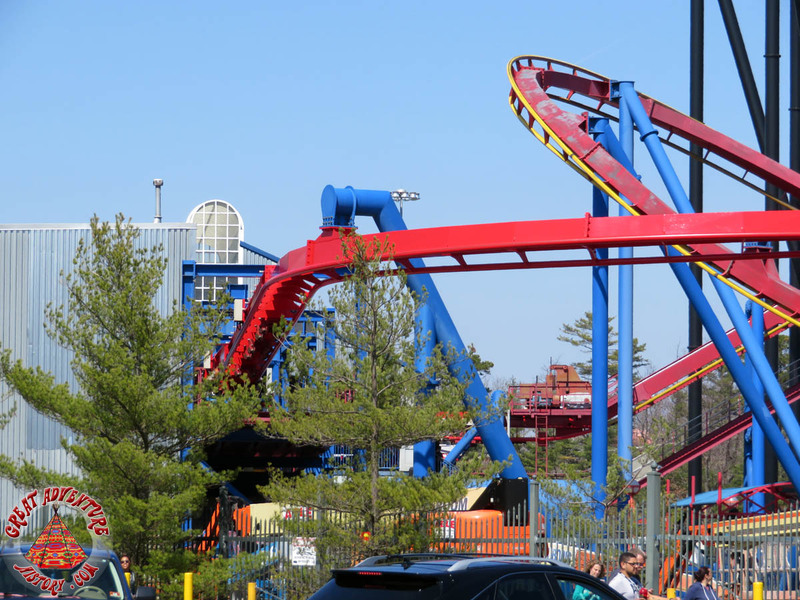 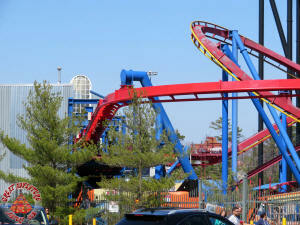 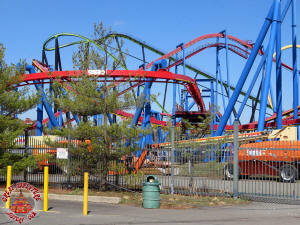 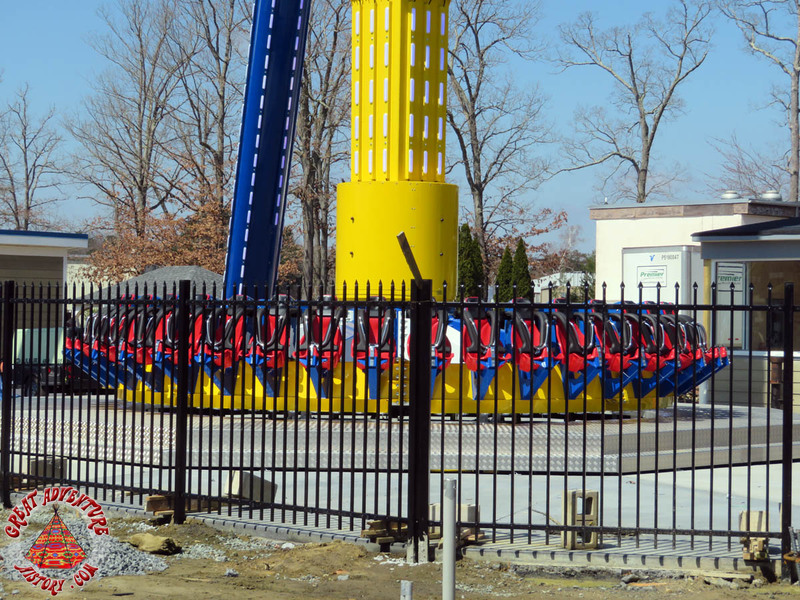 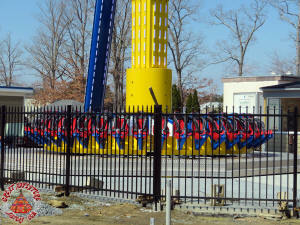 New red and blue paint is being applied to Superman! 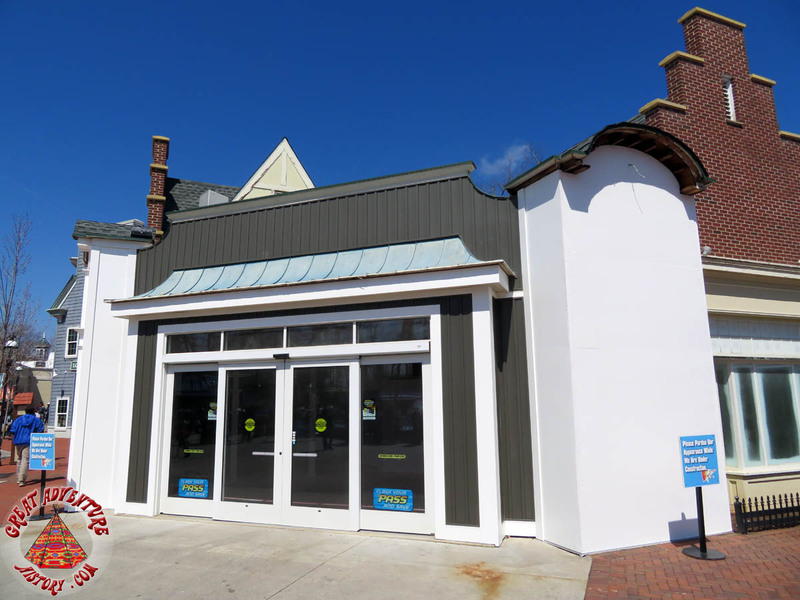 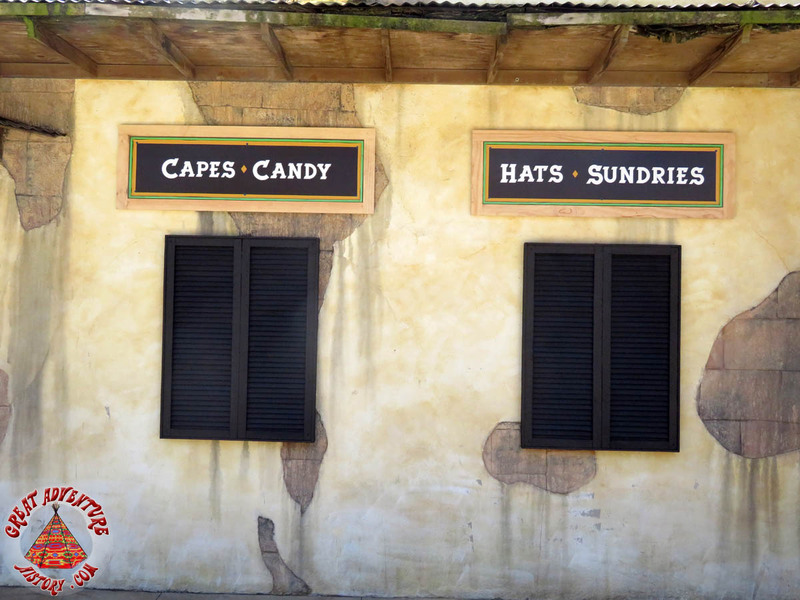 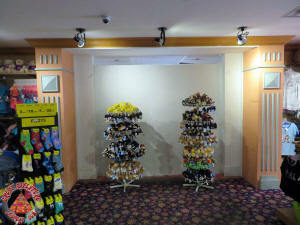 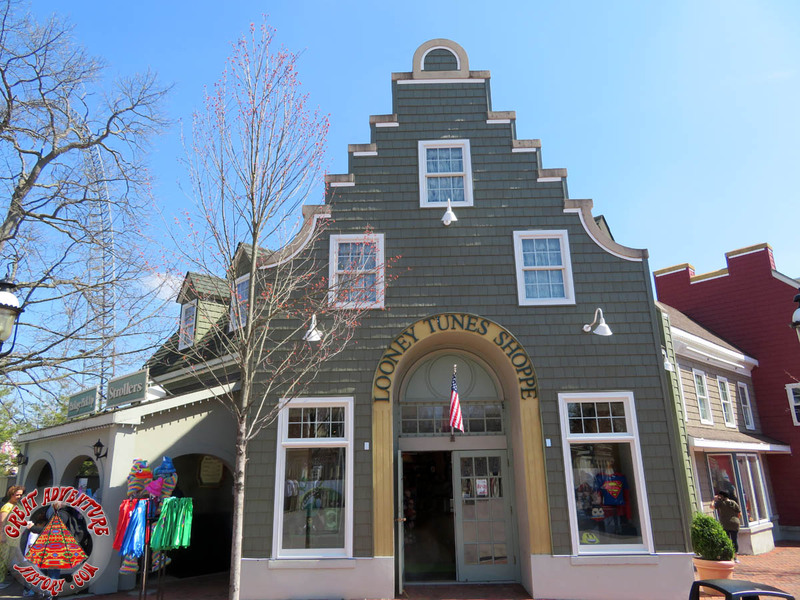 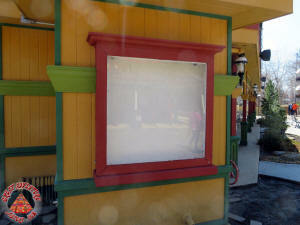 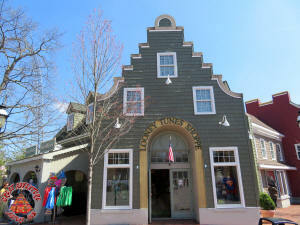 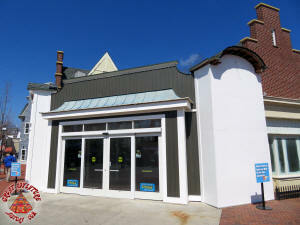 New facade and interior work at the Looney Tunes Shoppe. The M-porium is being refurbished. 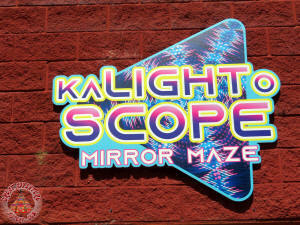 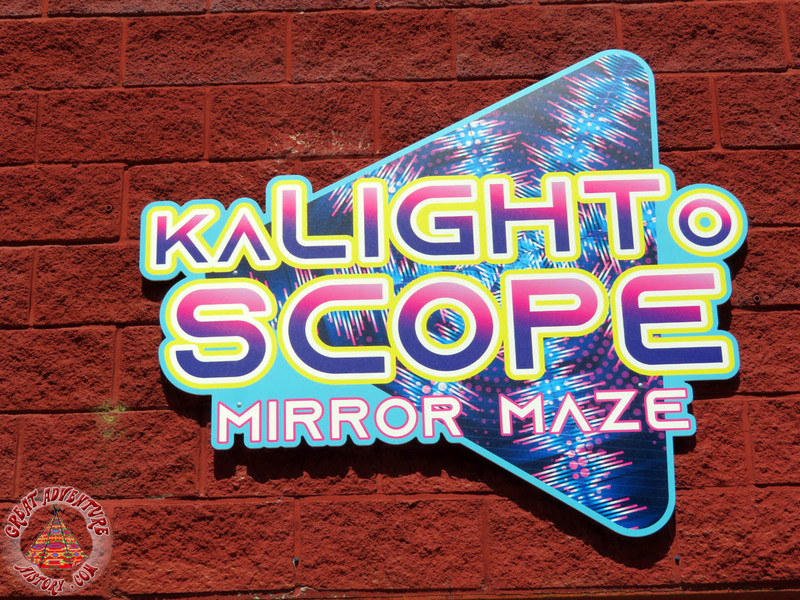 Looks like the mirror maze will be open during the regular operating season. 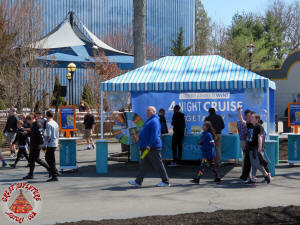 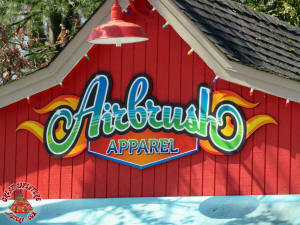 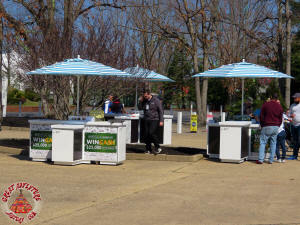 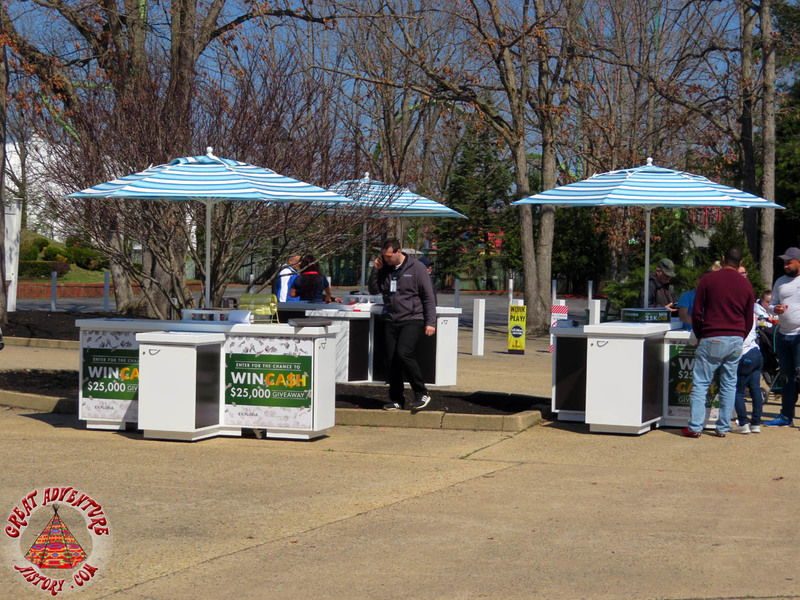 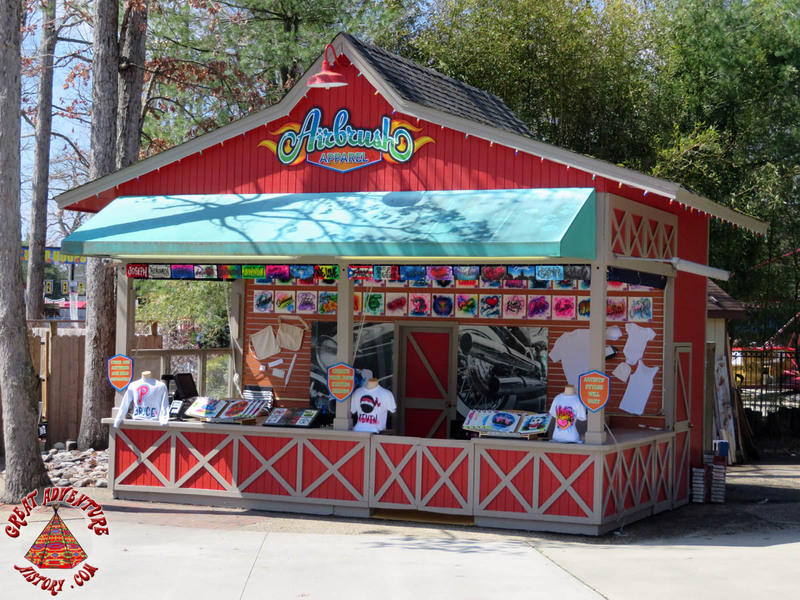 The Airbrush stand has moved from the Four Tents area to Adventure Alley. 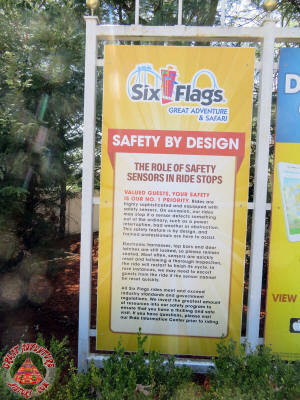 Wonder why?! 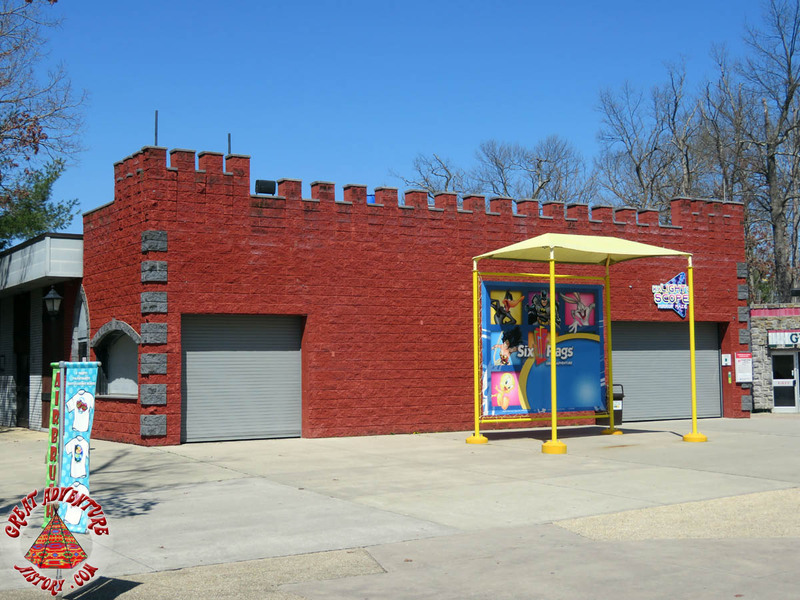 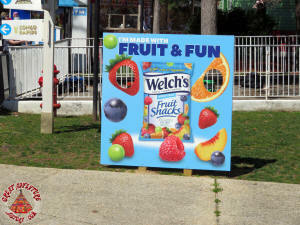 The Axis Chemical Cool Zone area is being repurposed to Gotham Snacks. 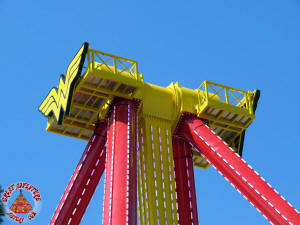 Wonder Woman's Lasso of Truth ride looks fully assembled and awaiting testing. 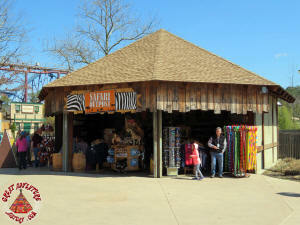 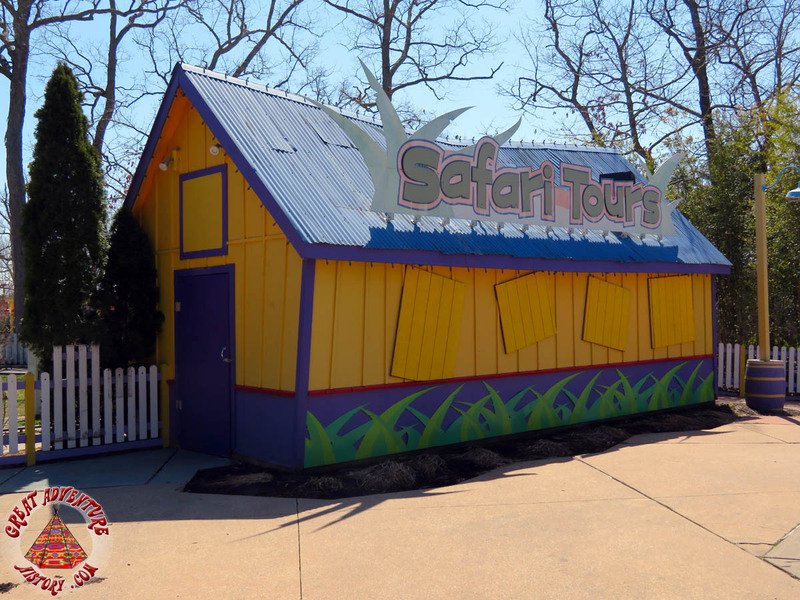 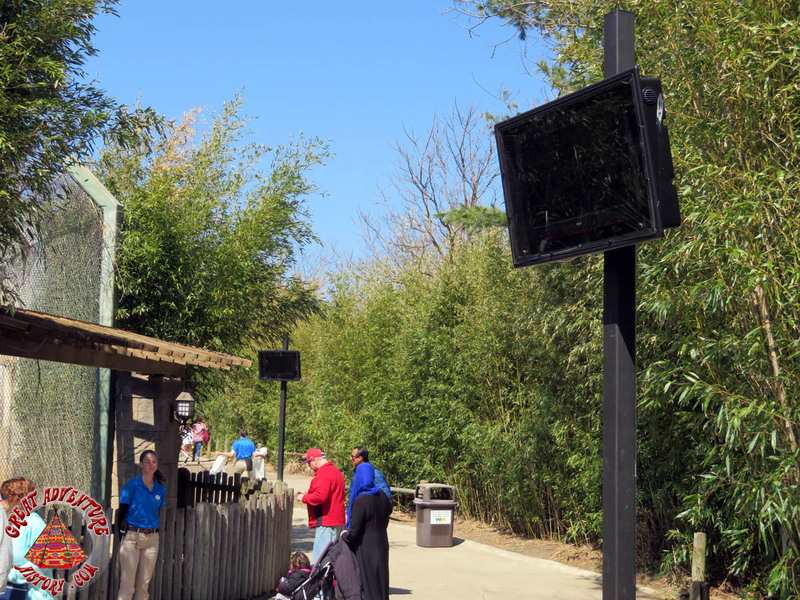 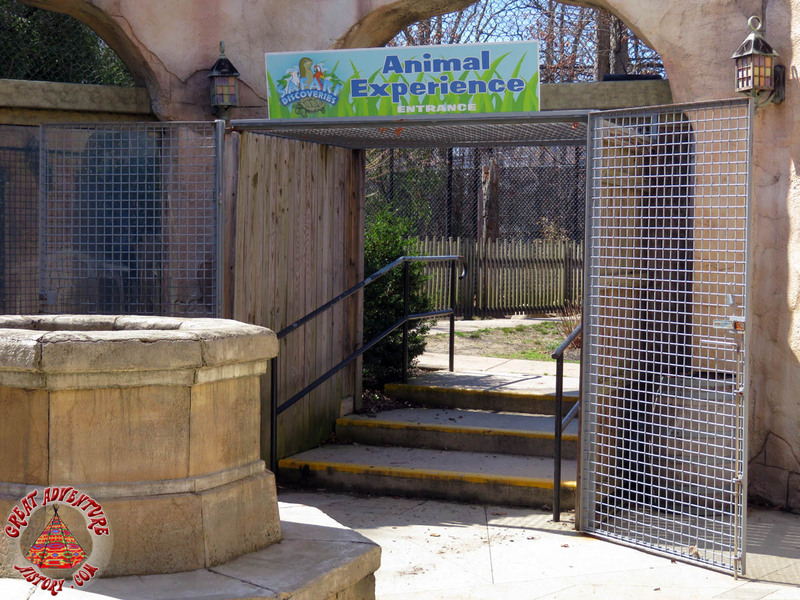 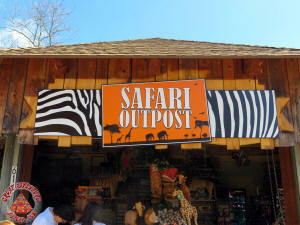 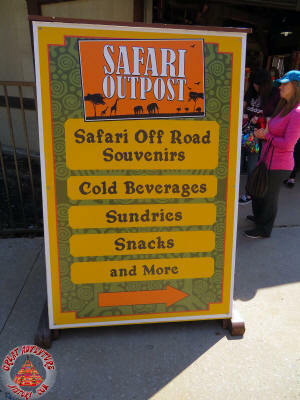 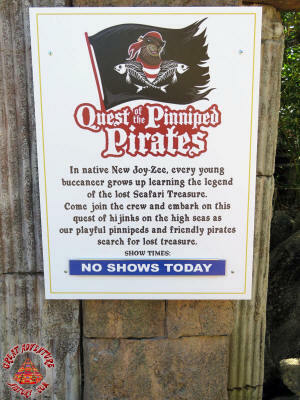 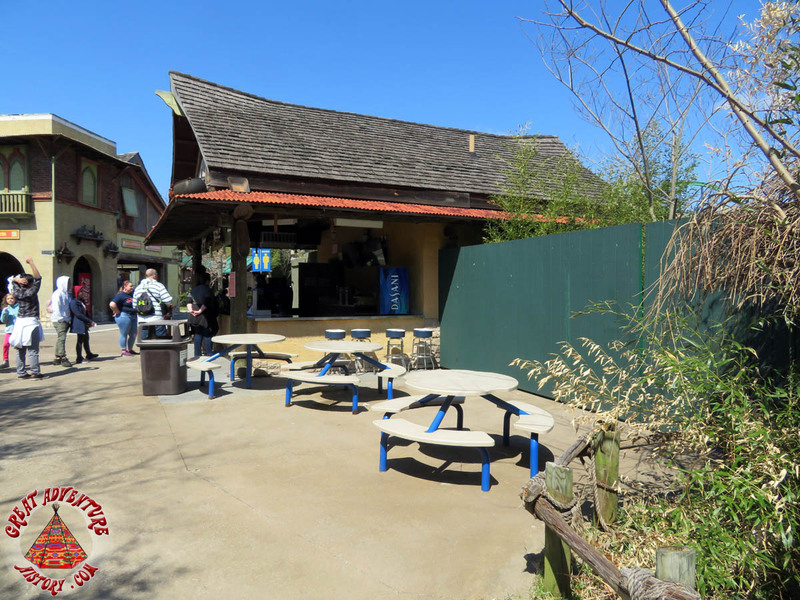 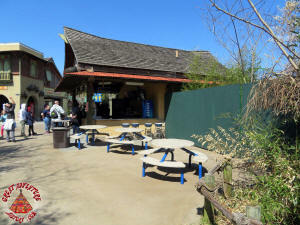 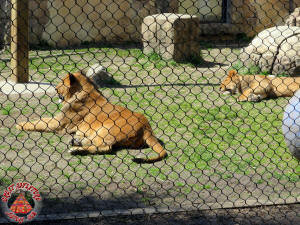 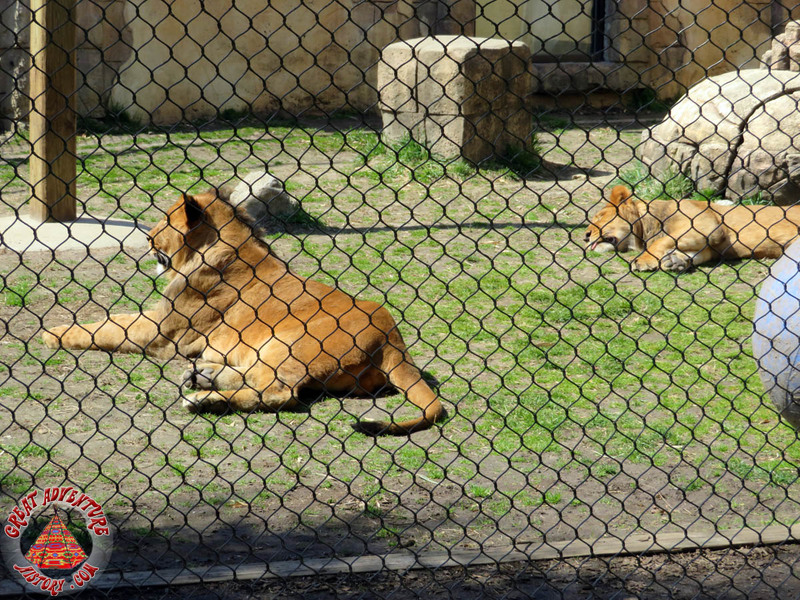 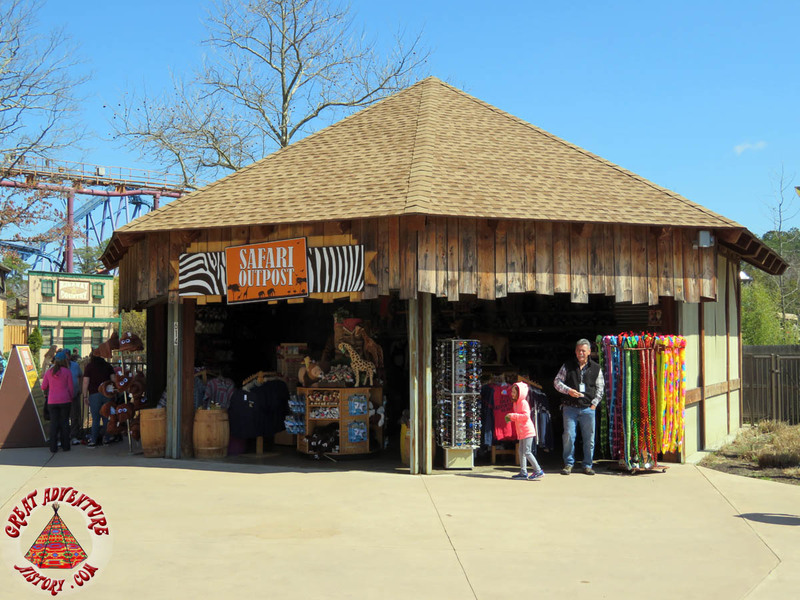 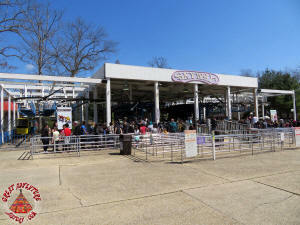 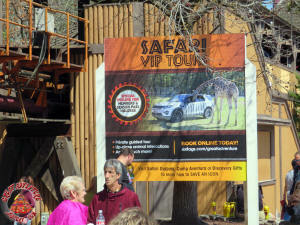 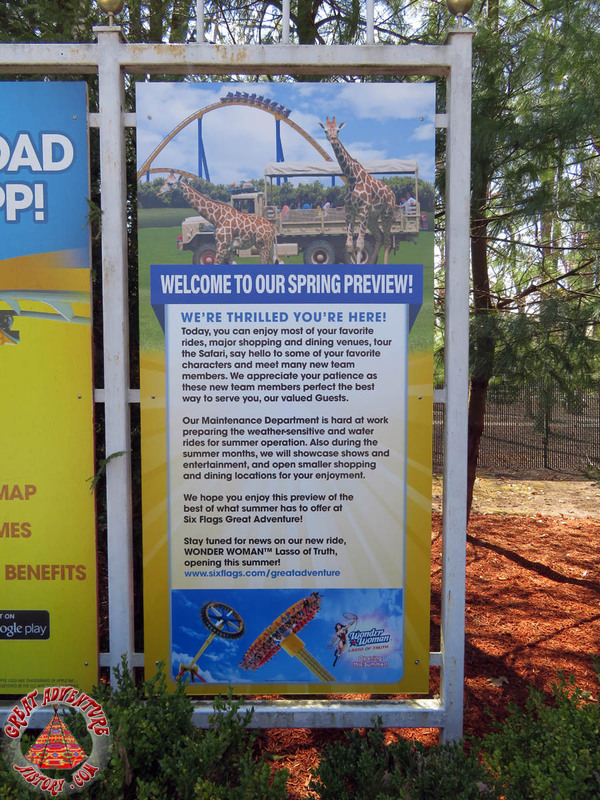 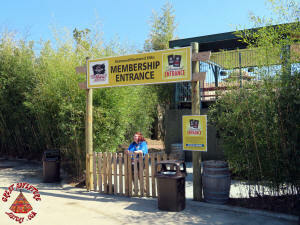 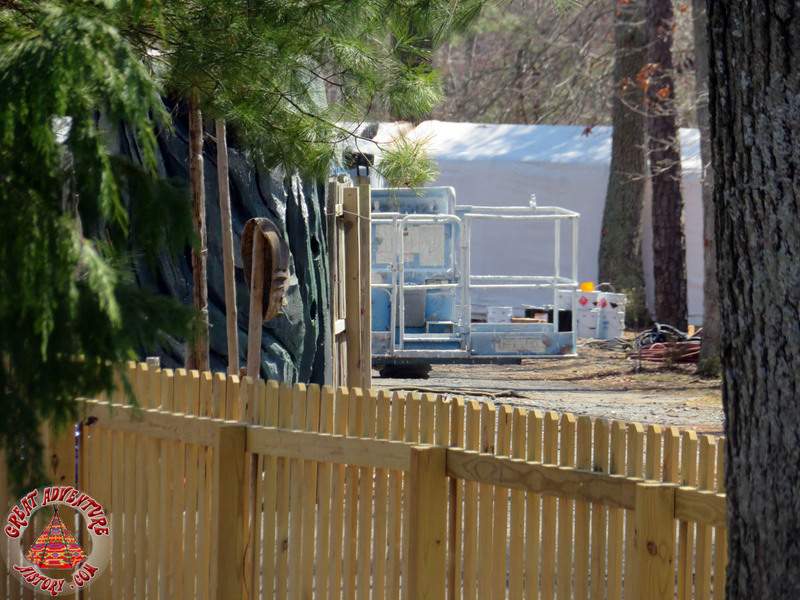 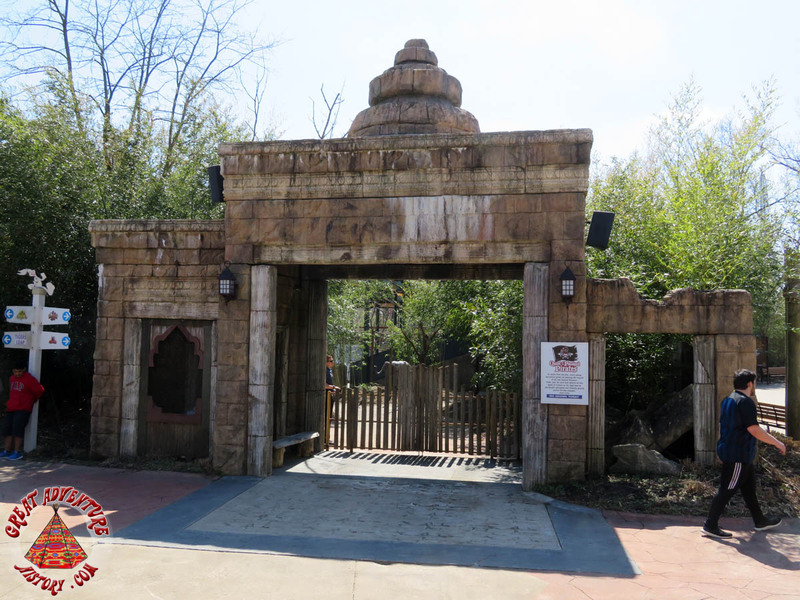 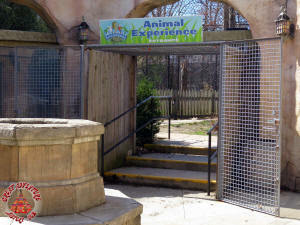 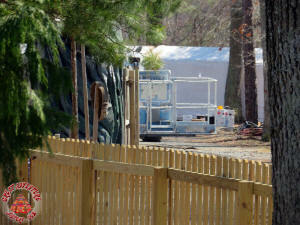 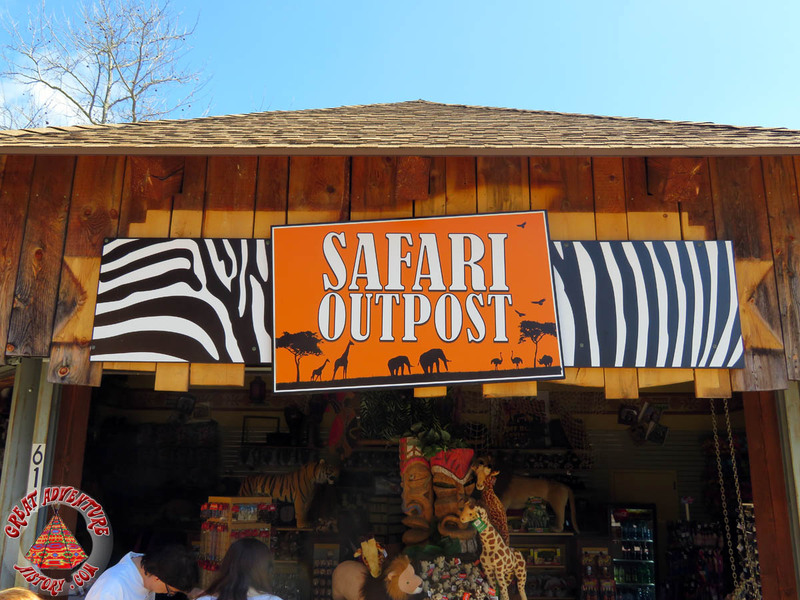 Sadly, Safari Tours cars ride is being removed. 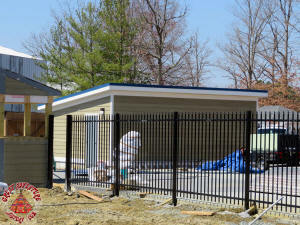 New fencing! 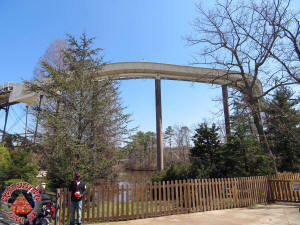 Both sides of the Skyway were open! 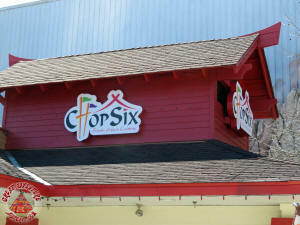 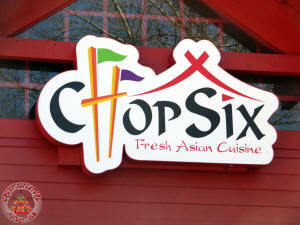 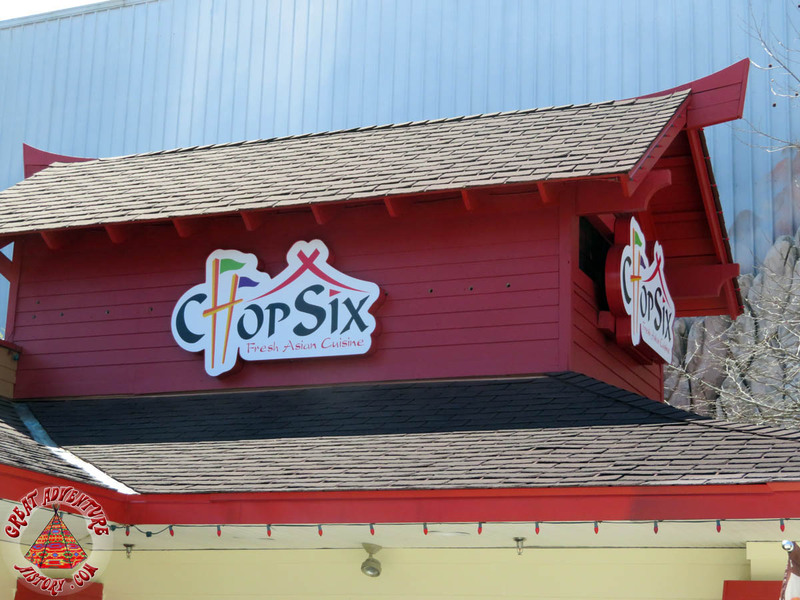 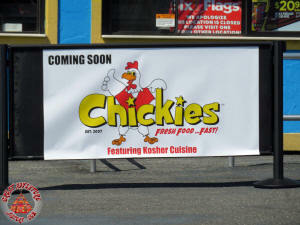 Chop Six has replaced Panda Express. 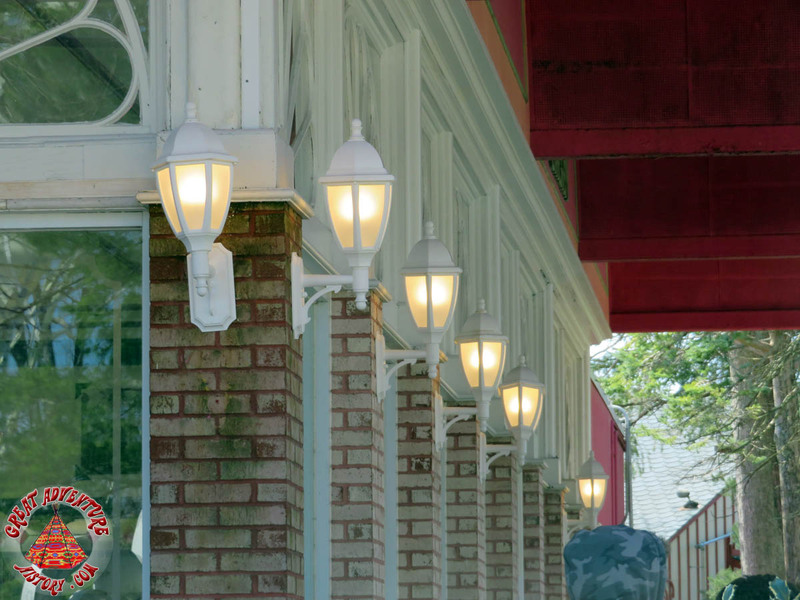 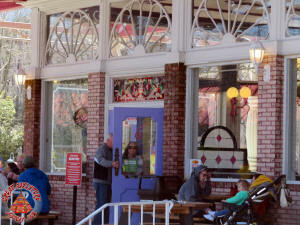 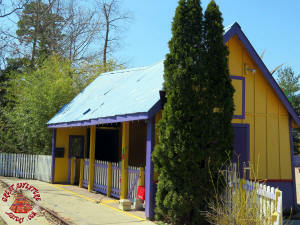 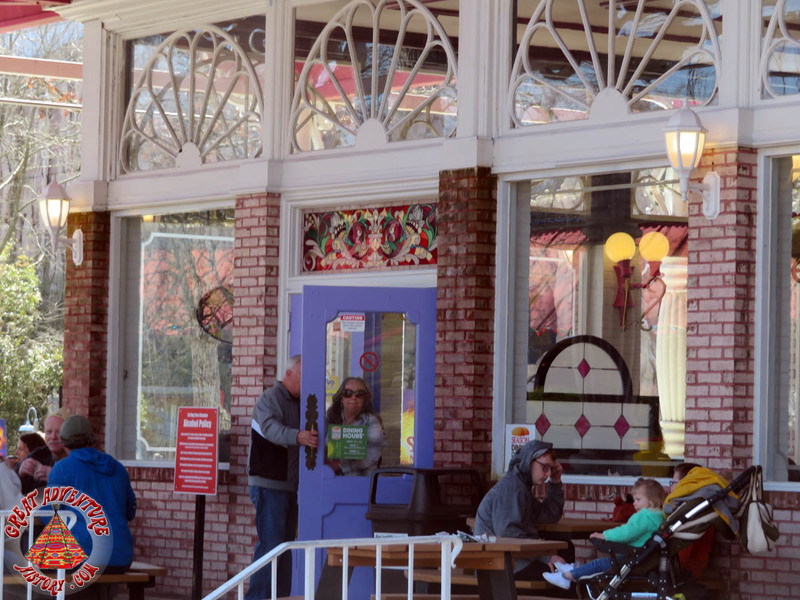 New exterior lights have been installed on the patio of Granny's replacing the 1974 originals. 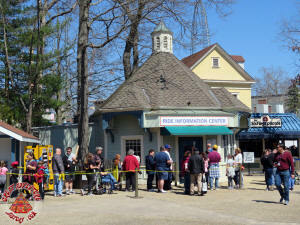 The Movie Town name is missing. 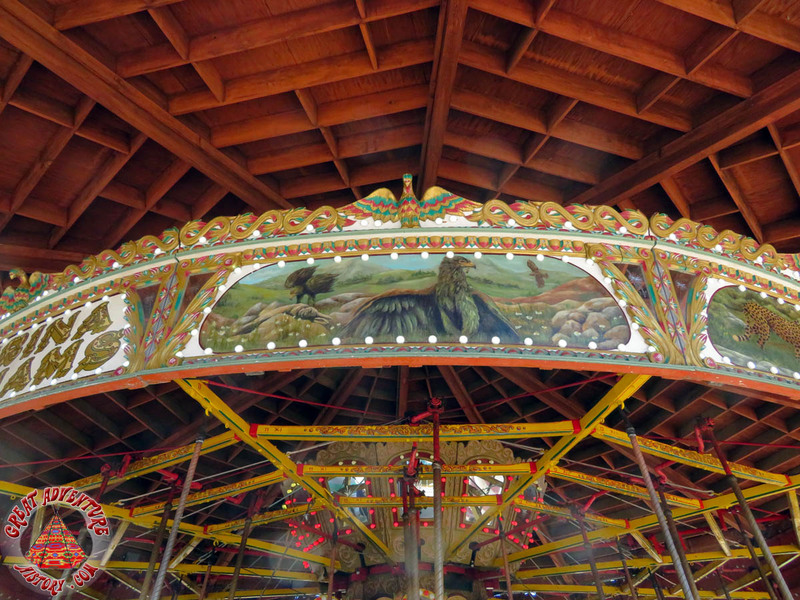 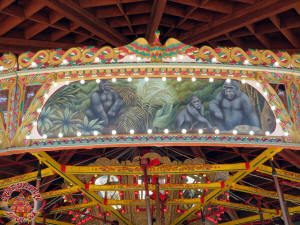 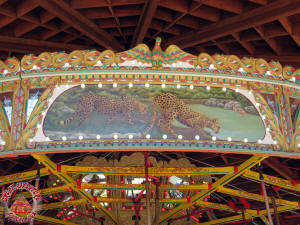 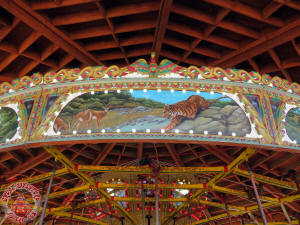 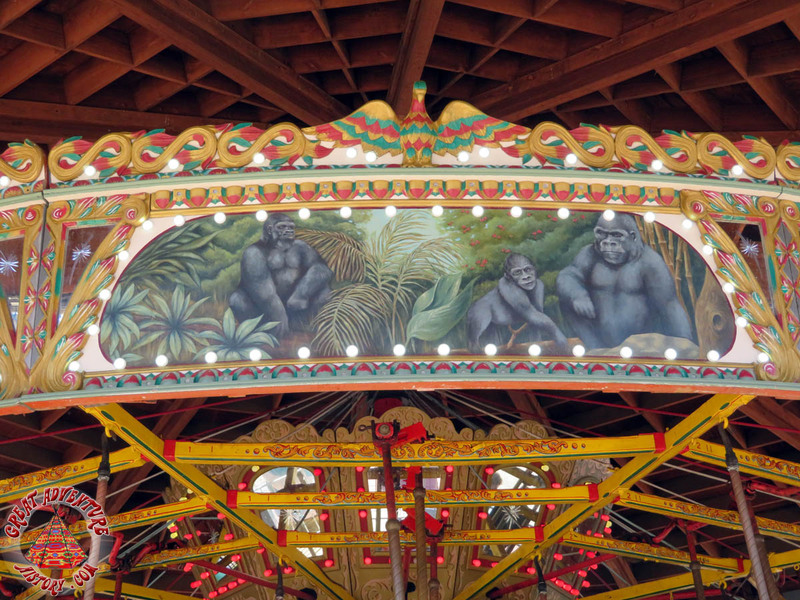 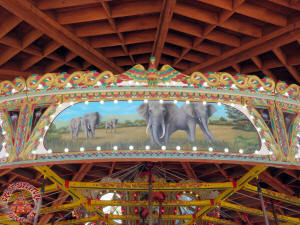 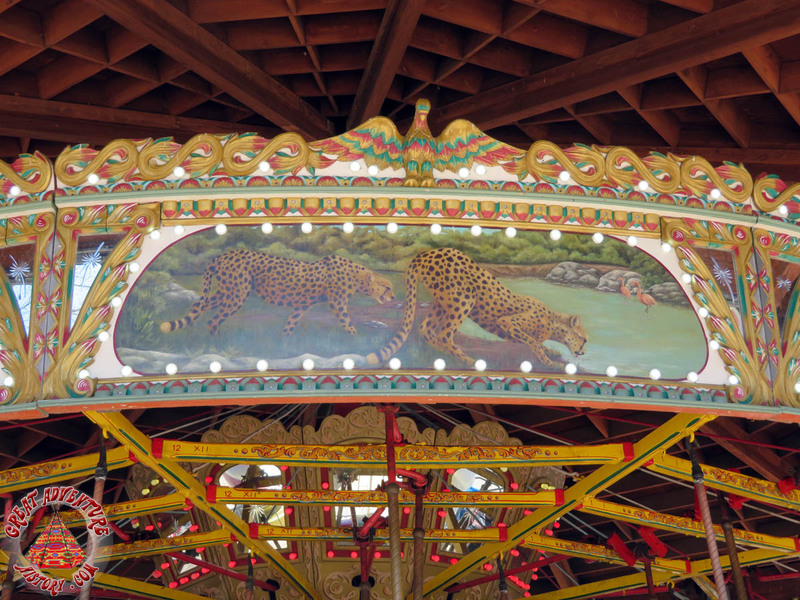 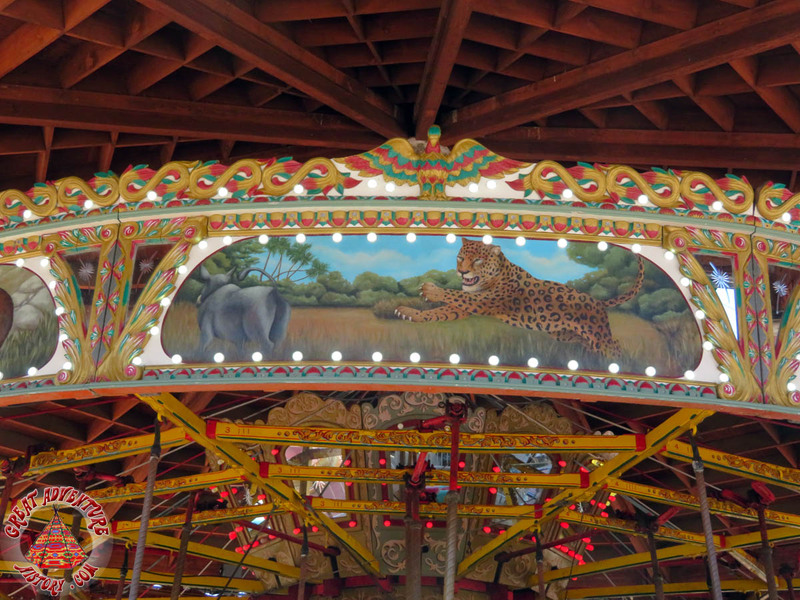 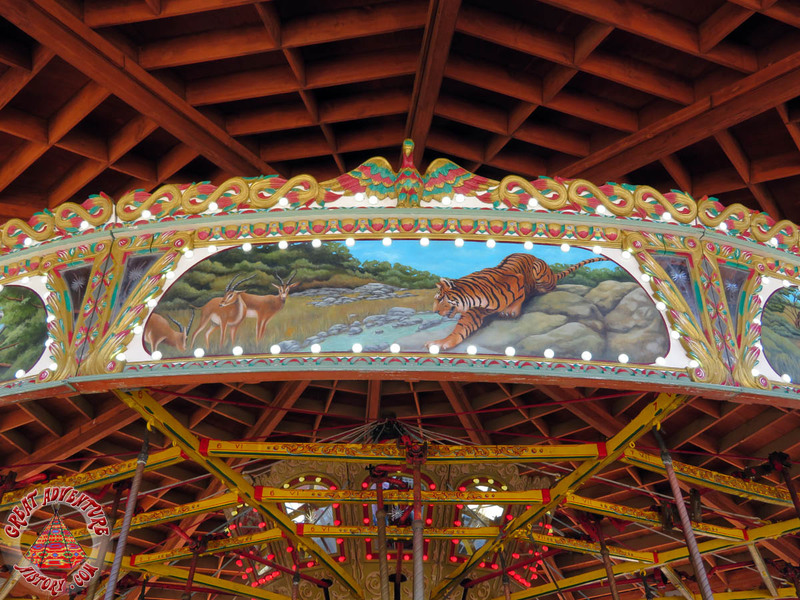 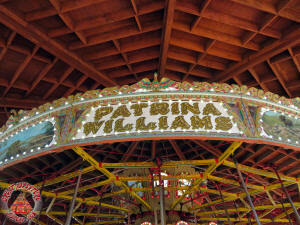 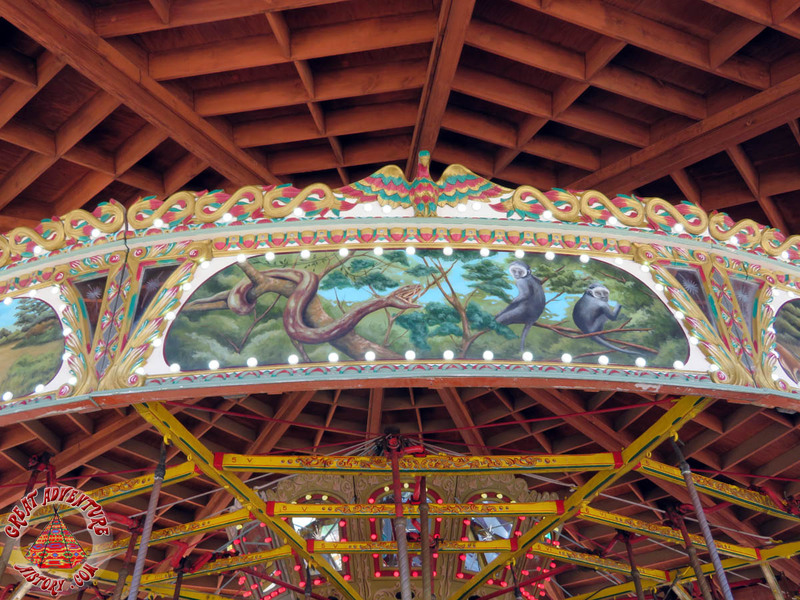 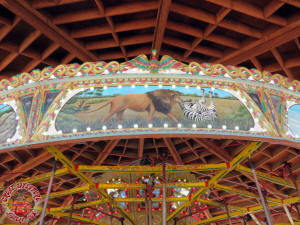 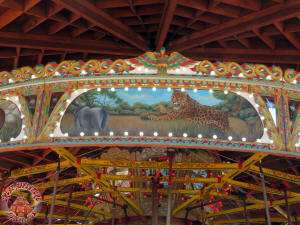 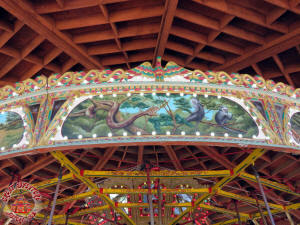 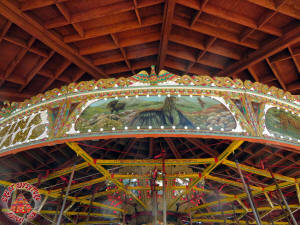 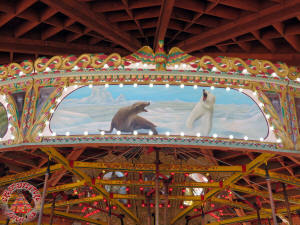 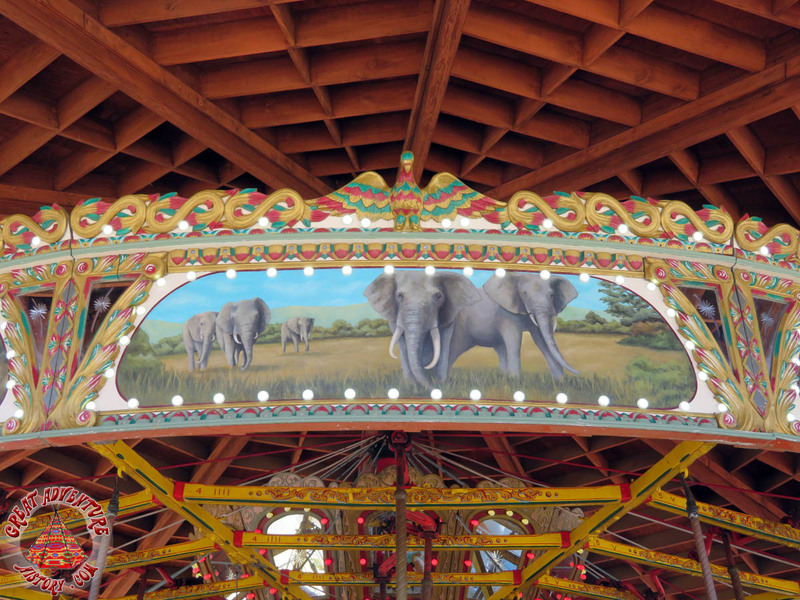 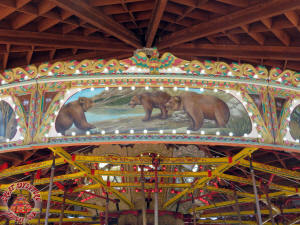 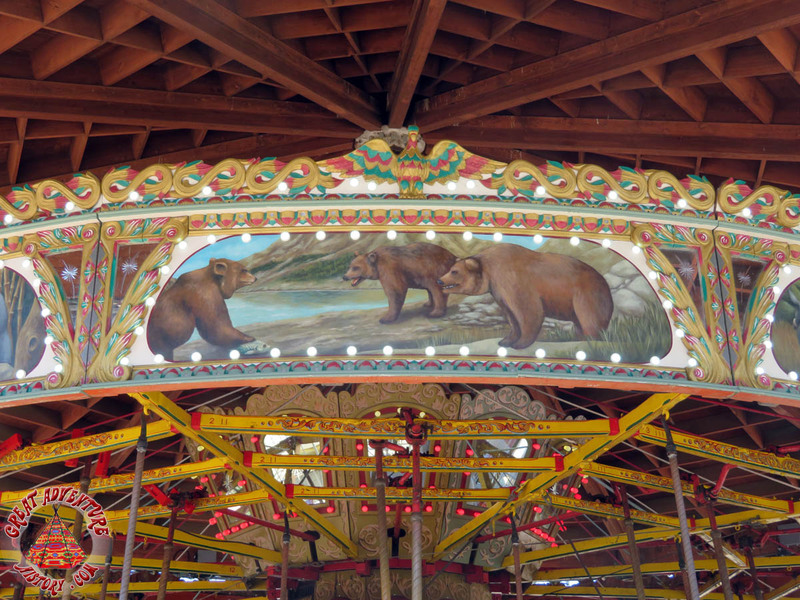 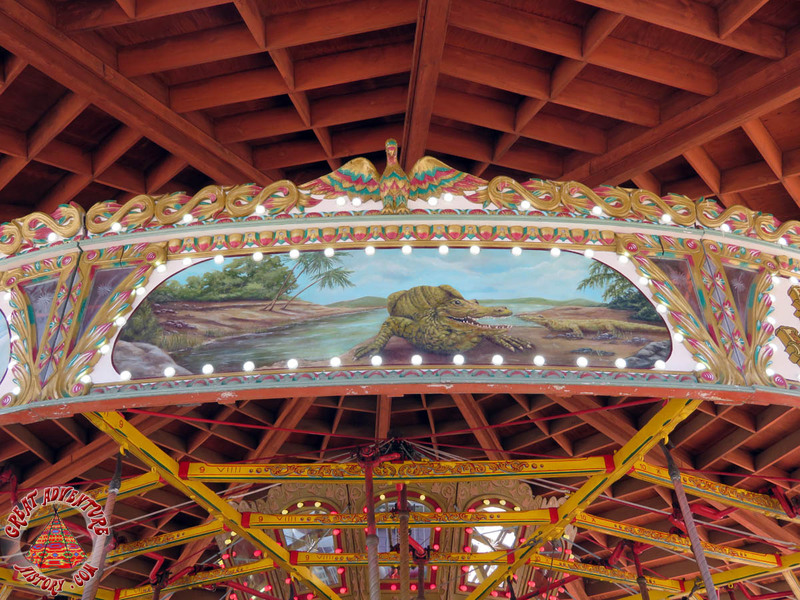 All twelve panels on the upper portion of the Carousel have been brilliantly refurbished. 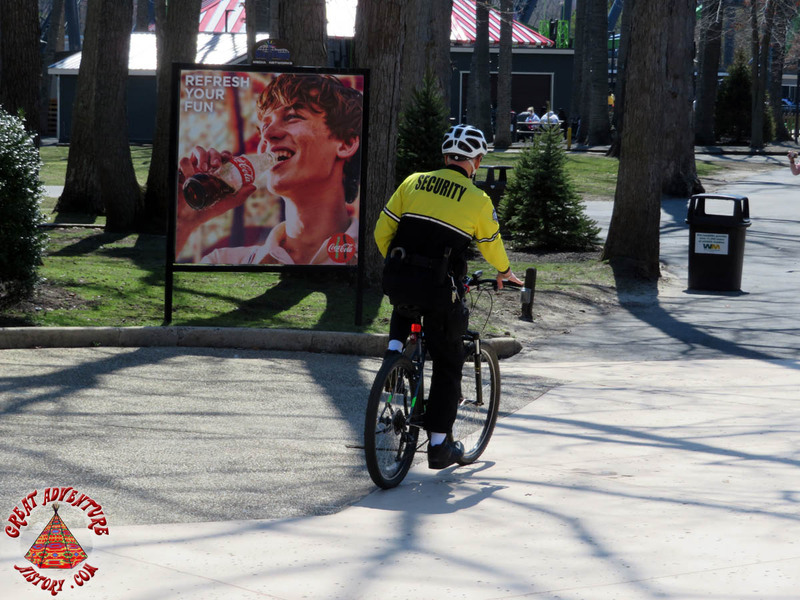 Security now uses bicycles. 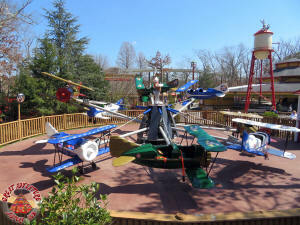 It looks like the planes were rehabbed. 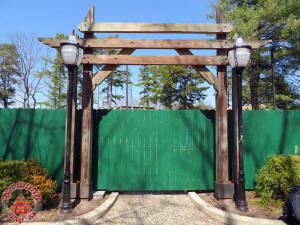 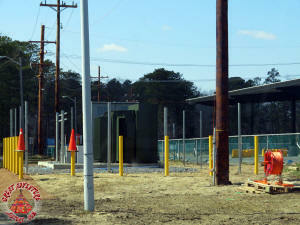 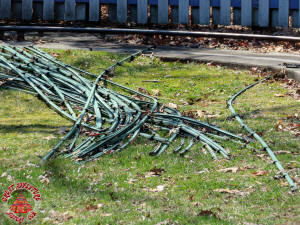 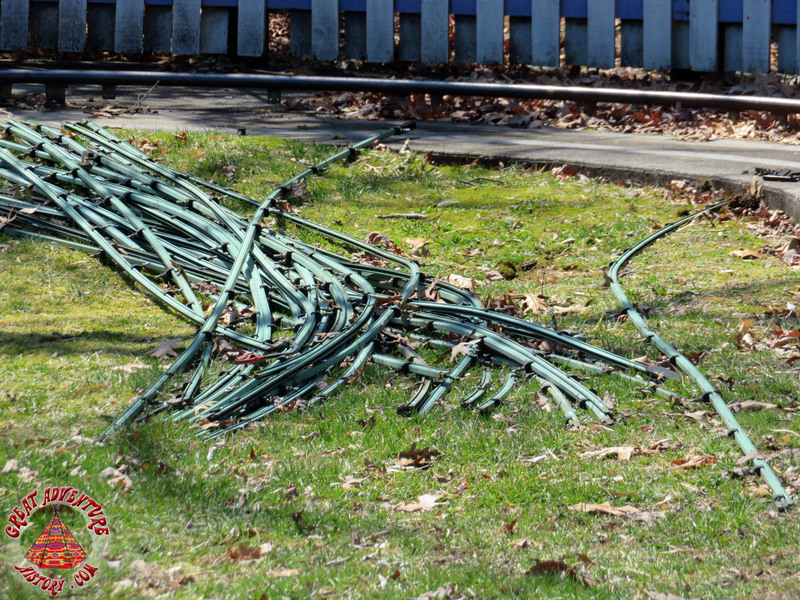 More new fencing! 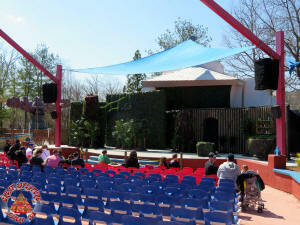 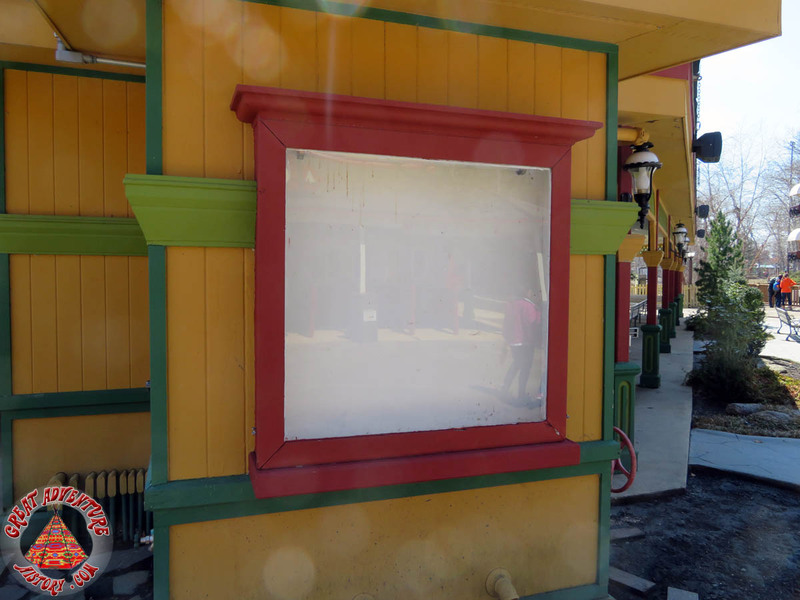 The Wilderness Theater sign is gone and no new shows are being promoted. 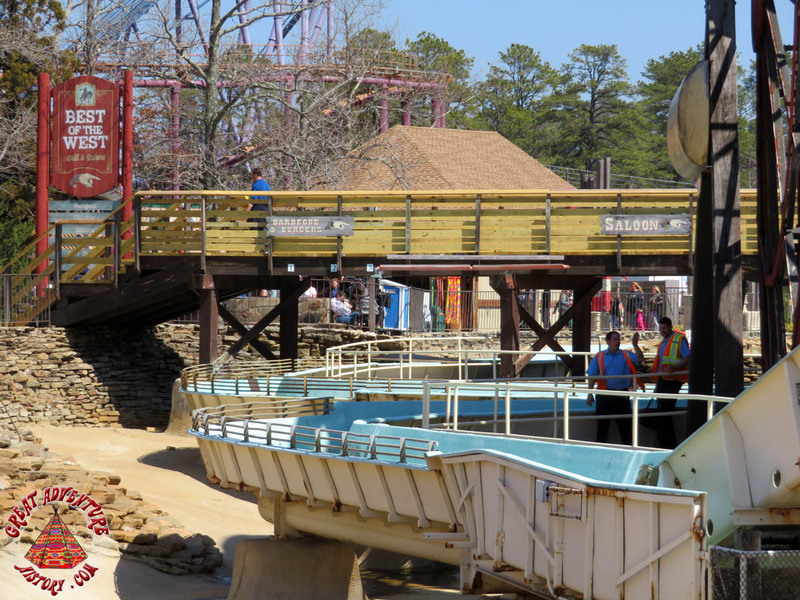 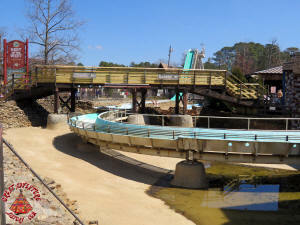 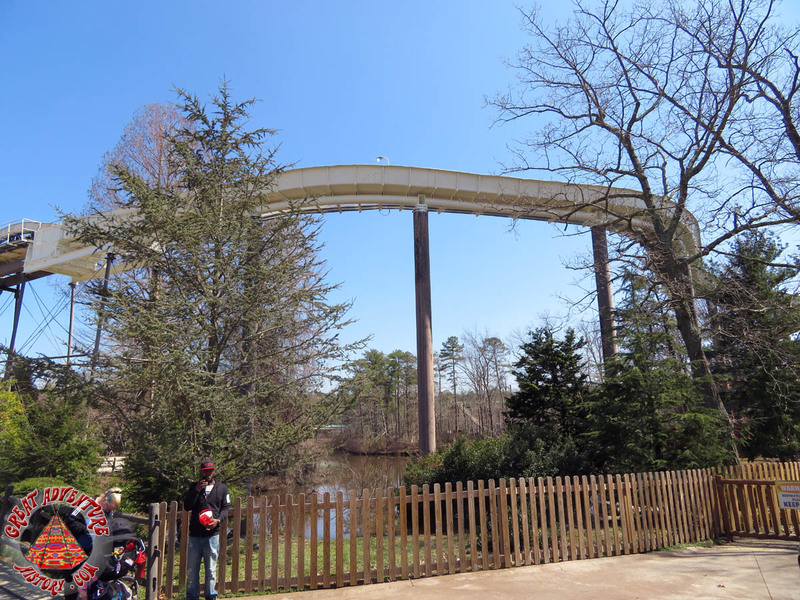 The Log Flume is being repainted and new bridge decking has been installed. It is great to see this ride get some TLC. The Wild's family has been removed from the Safari Off Road Adventure storyline. 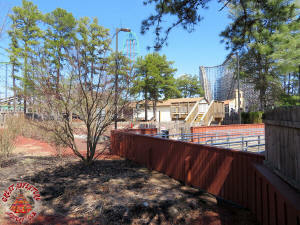 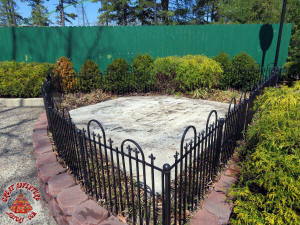 El Diablo is gone including the statue. 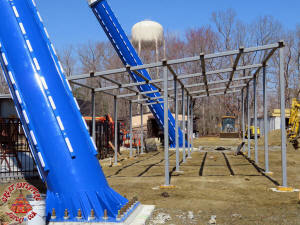 New Hydration Station coming soon. 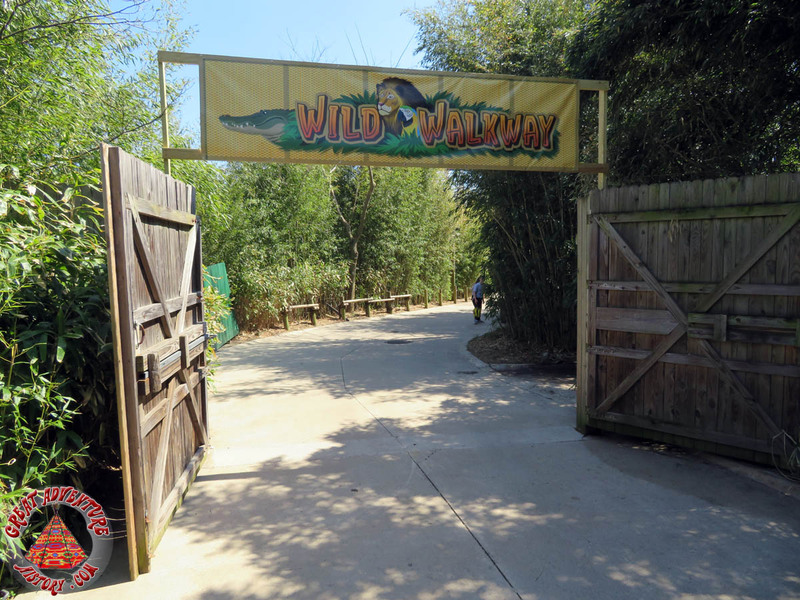 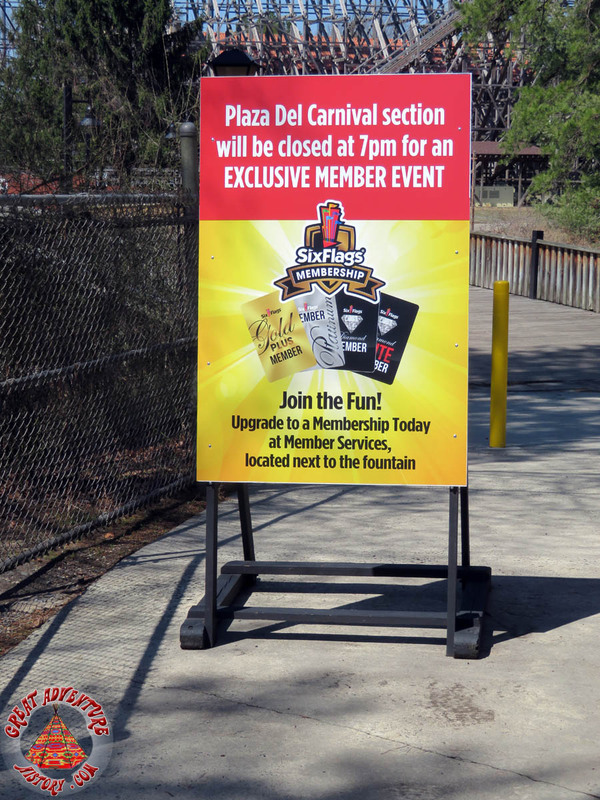 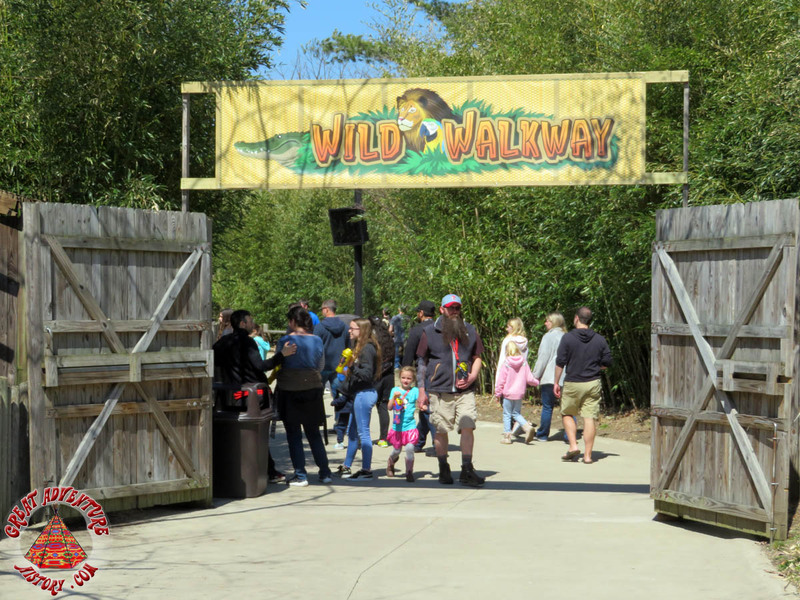 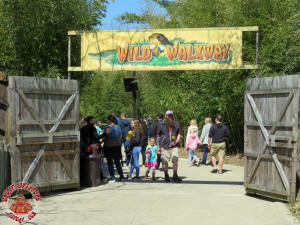 The Wild Walkway has new signs. 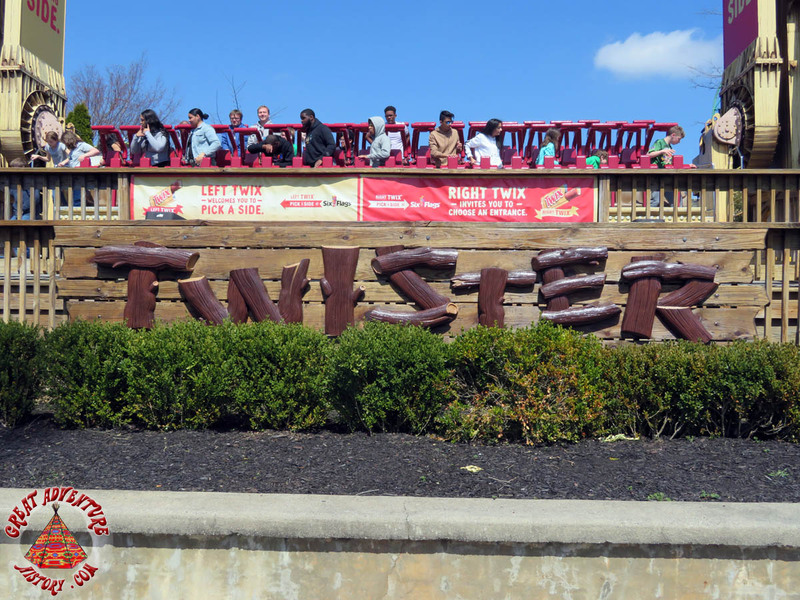 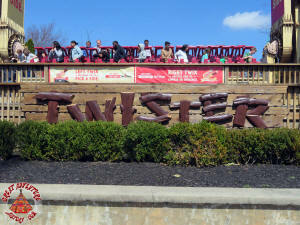 Twister has also been refurbished including a refreshed sign and seats. 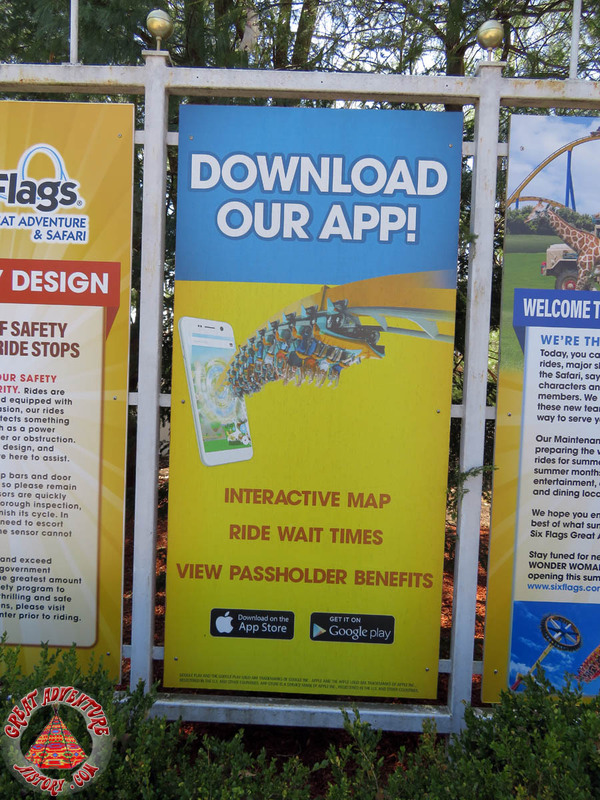 Decorative (non-advertising) banners are back! 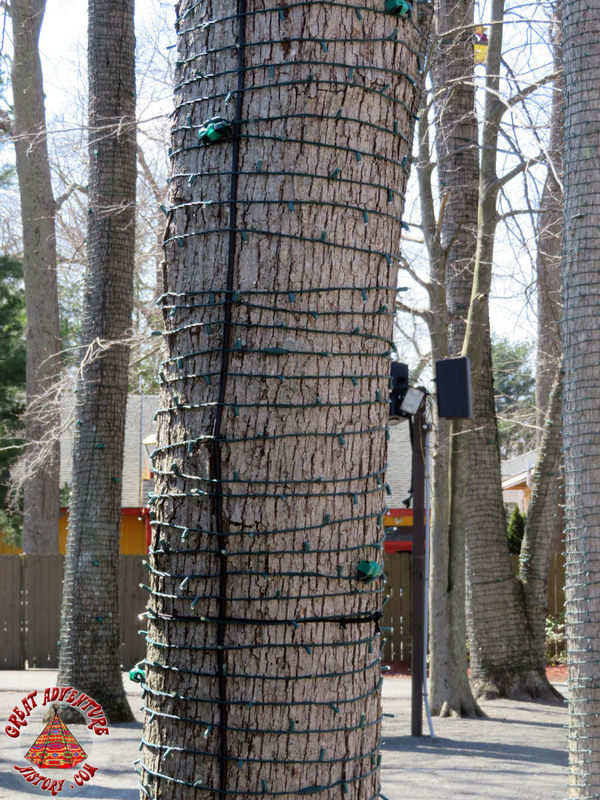 All the Holiday in the Park lights are still up from last year.